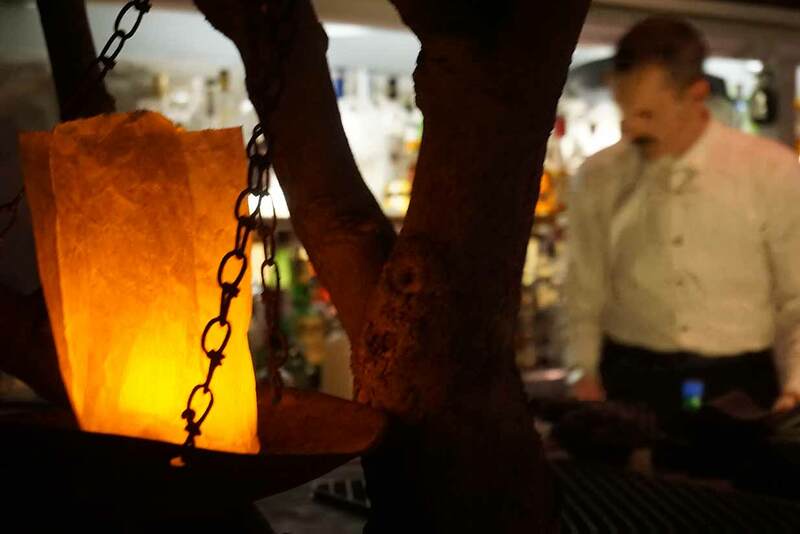 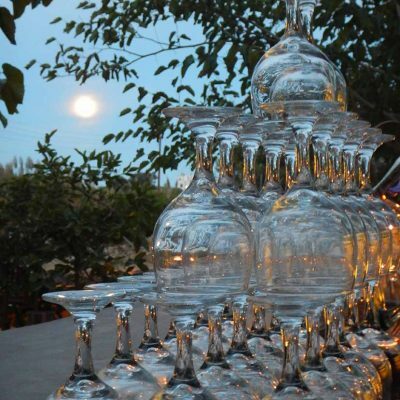 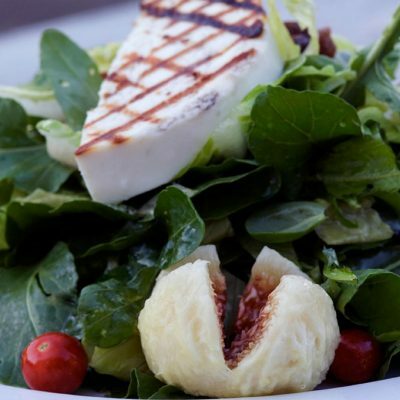 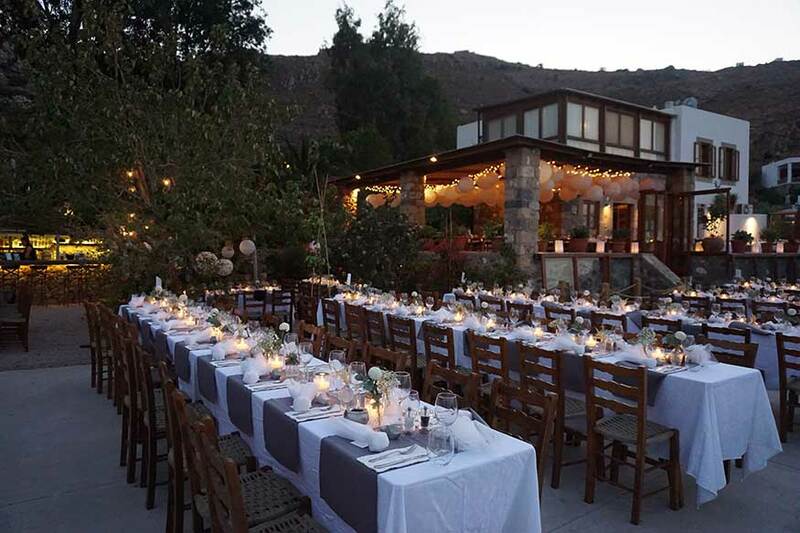 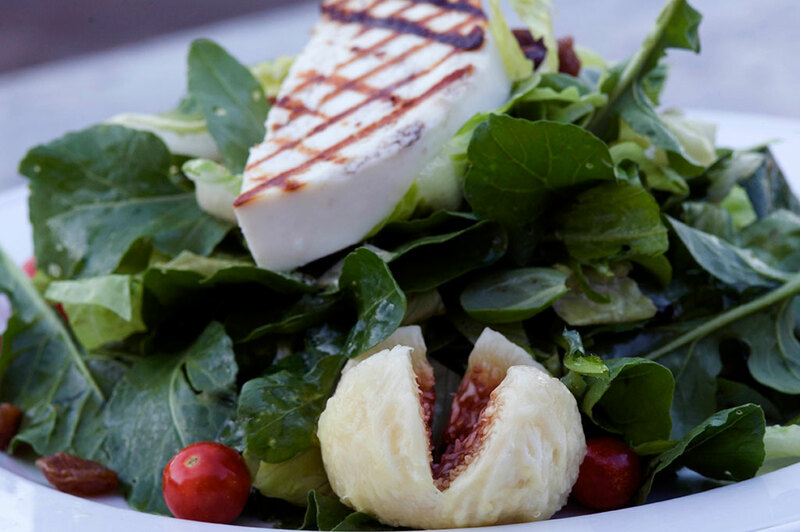 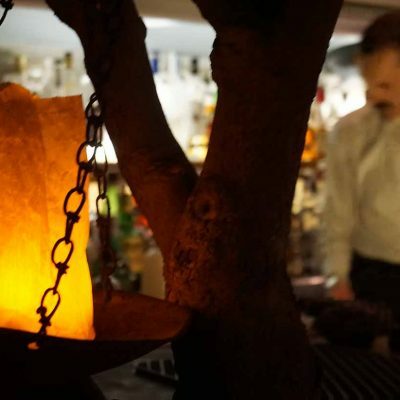 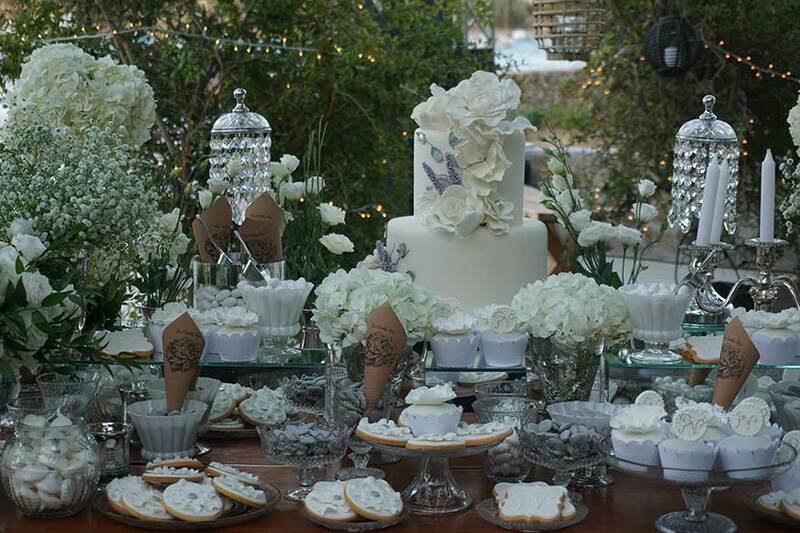 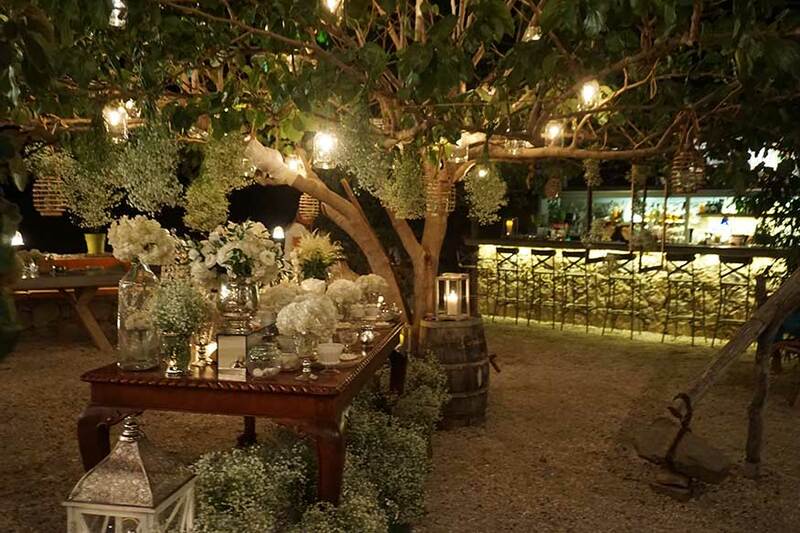 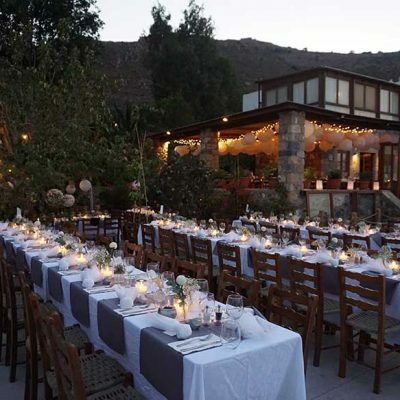 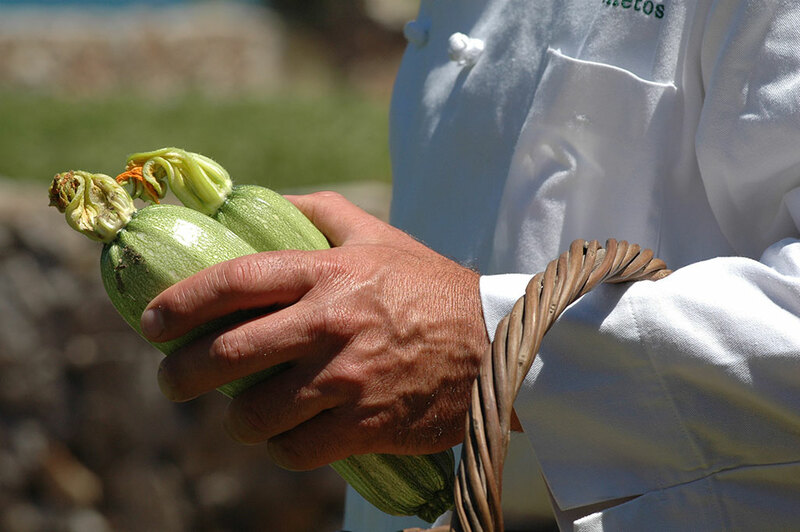 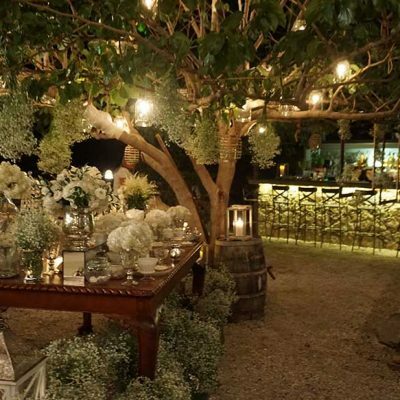 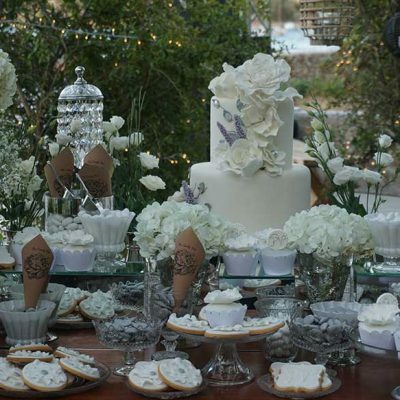 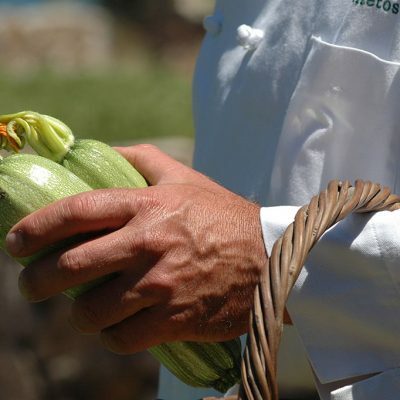 We offer a quiet, serene atmosphere with a unique farm to table dining experience. 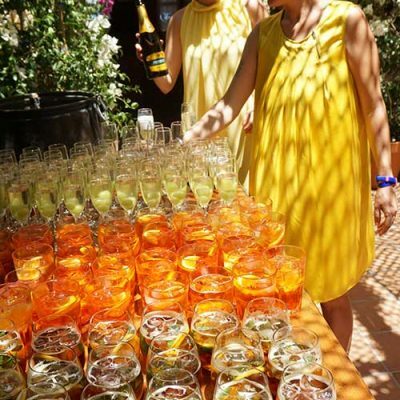 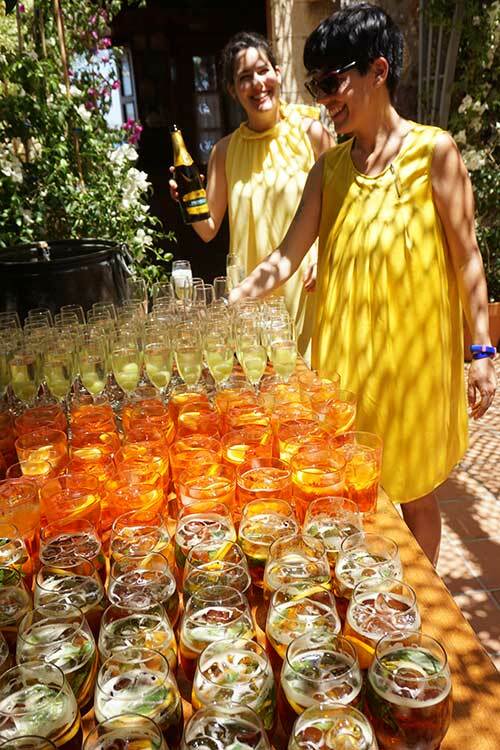 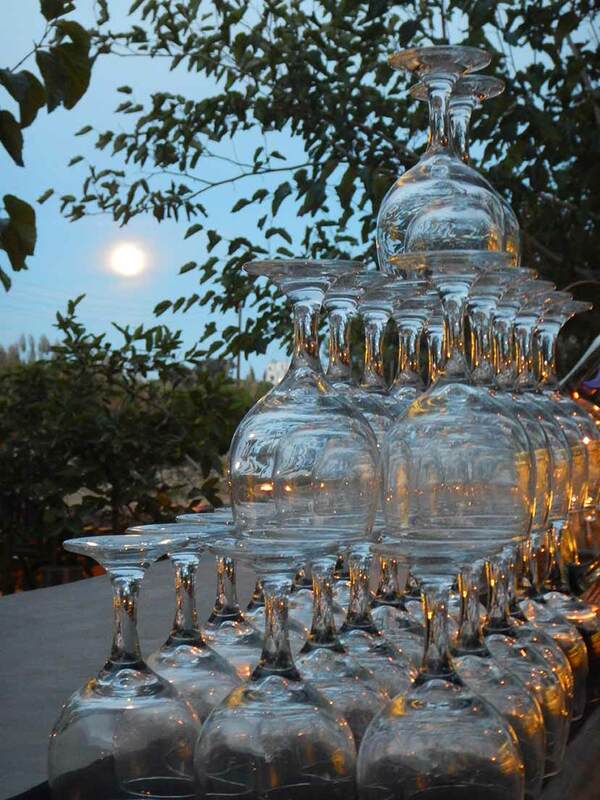 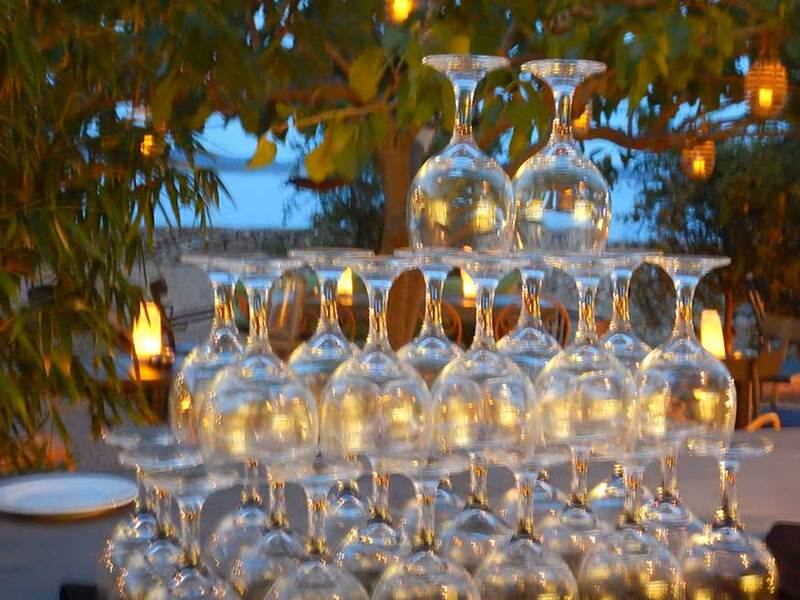 Enjoy a preview of what your evening would look like. 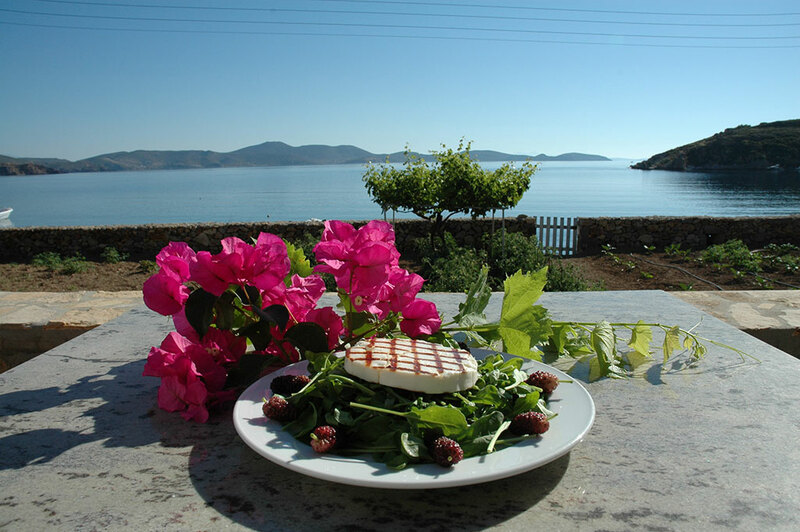 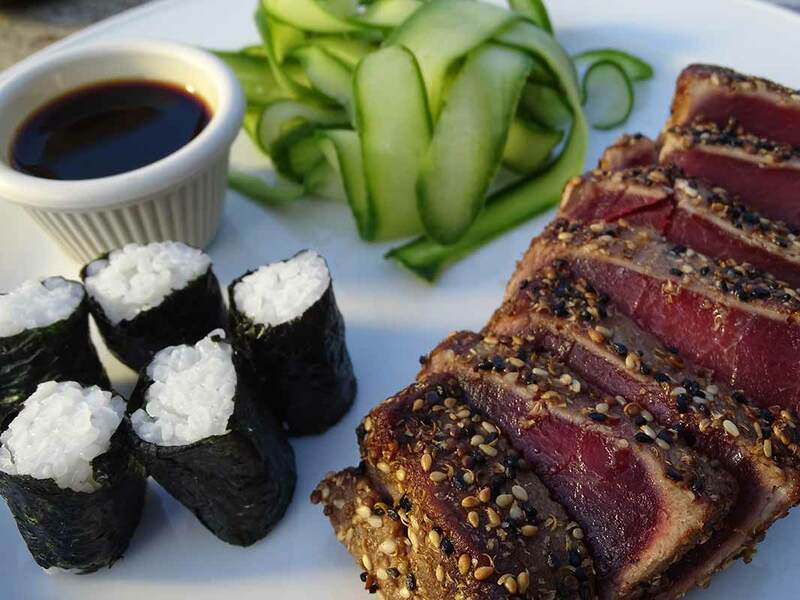 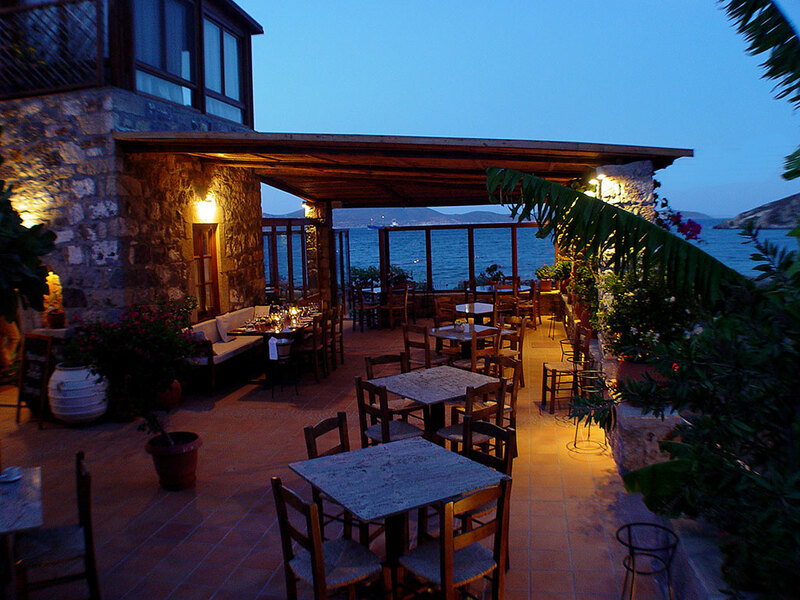 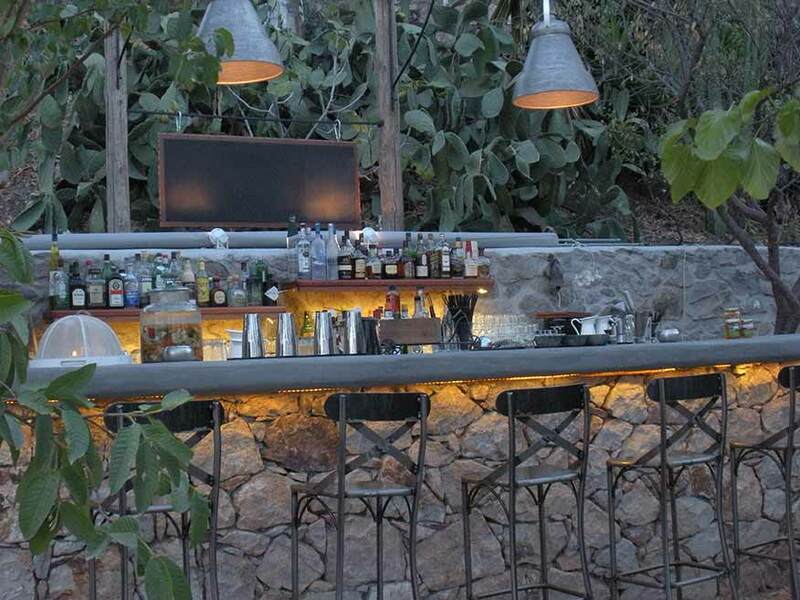 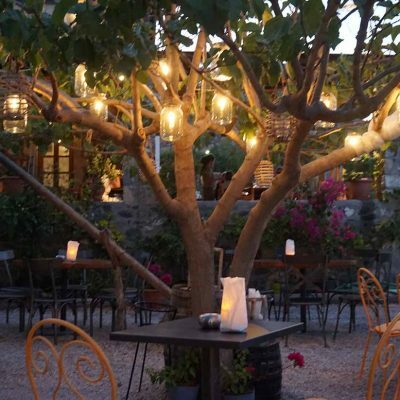 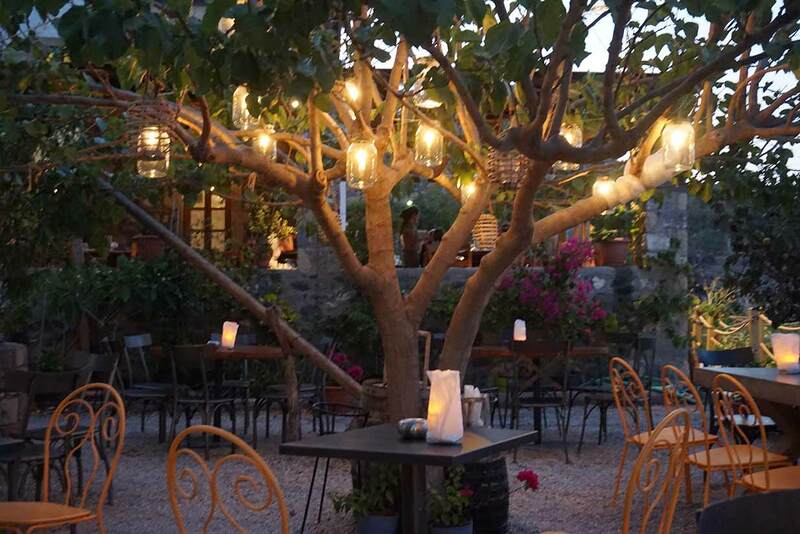 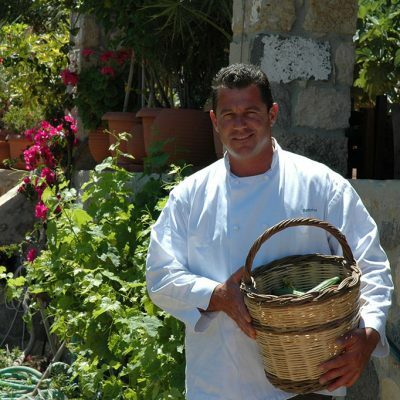 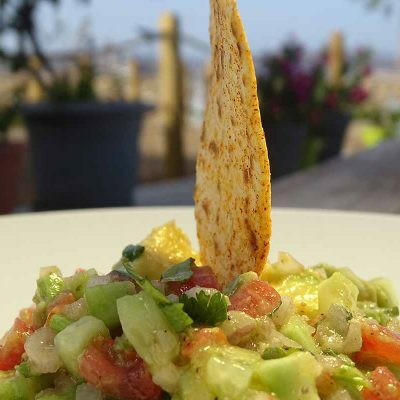 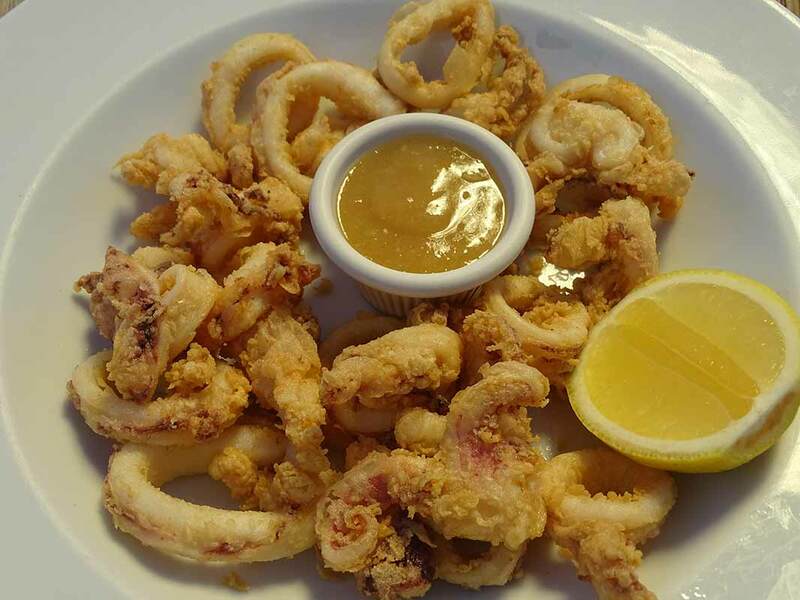 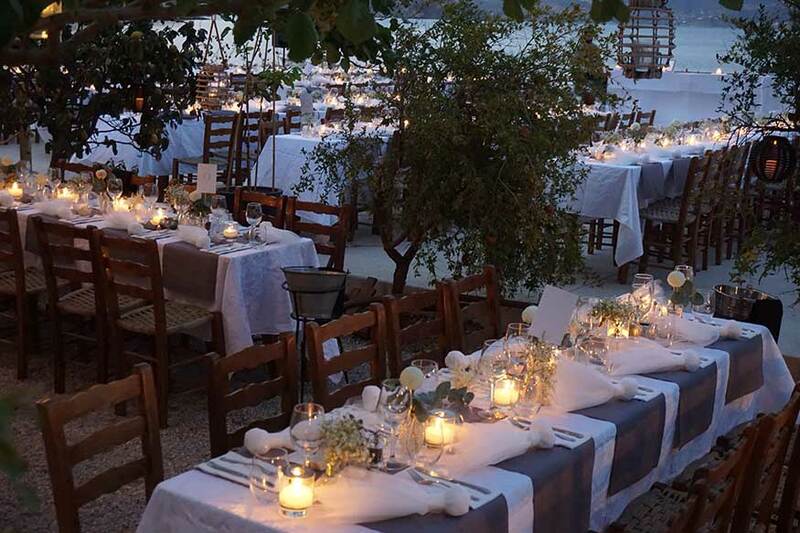 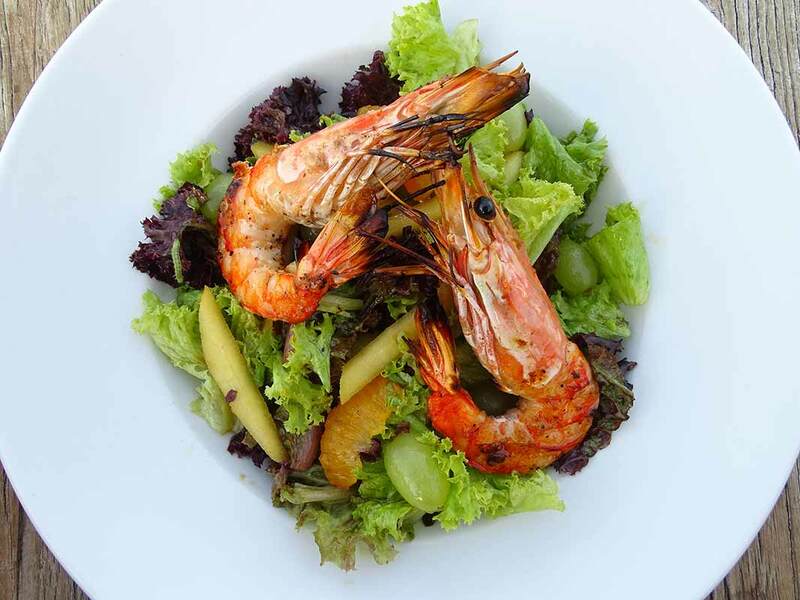 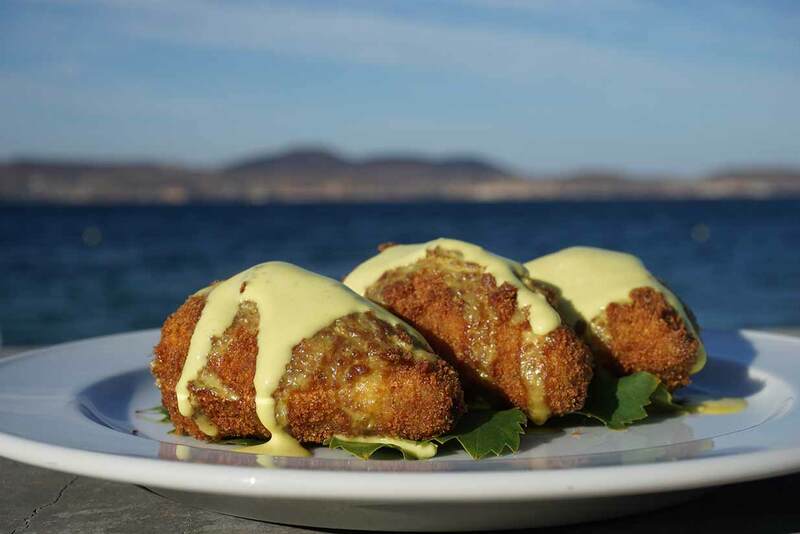 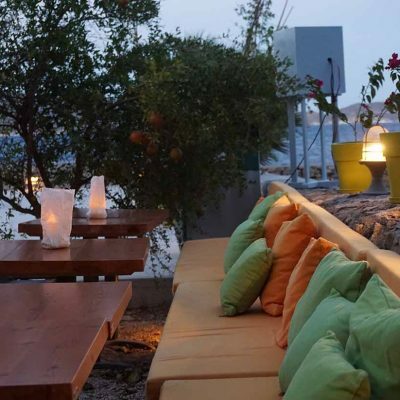 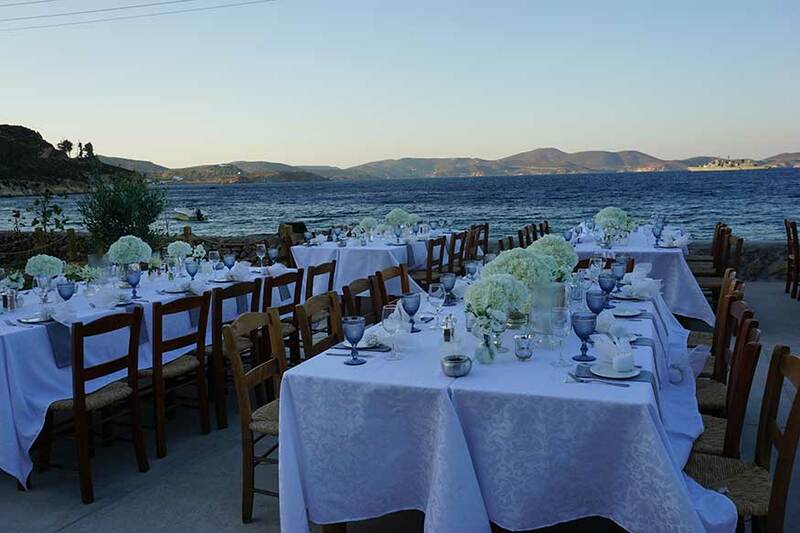 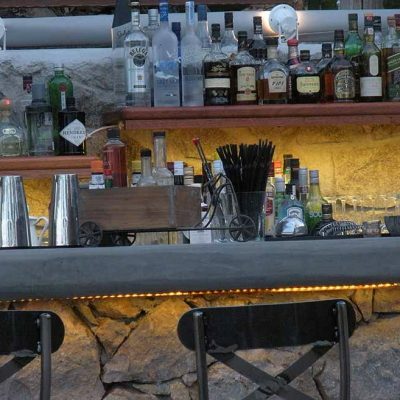 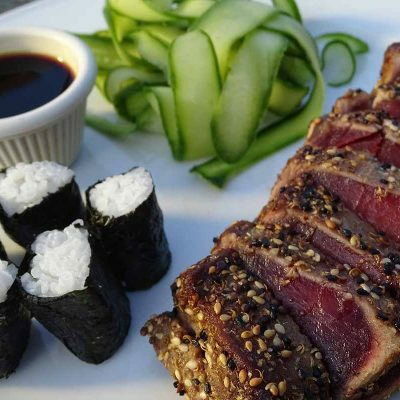 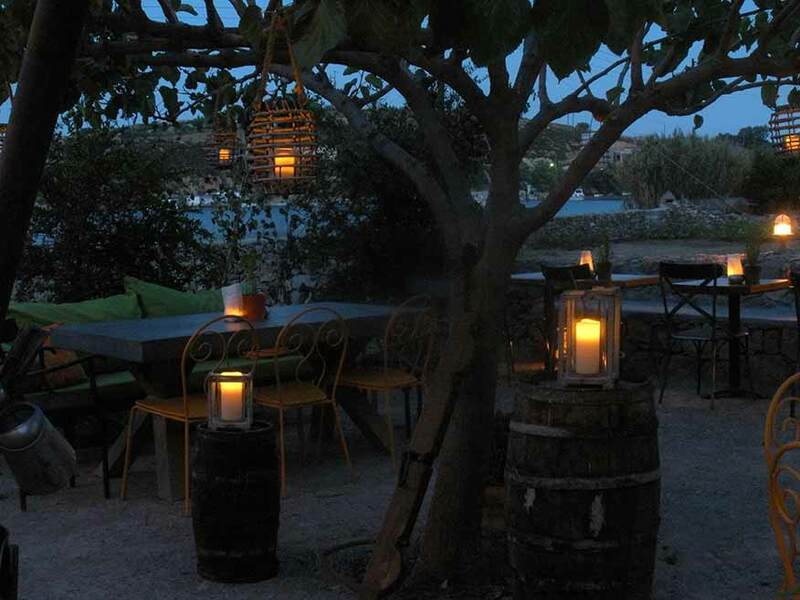 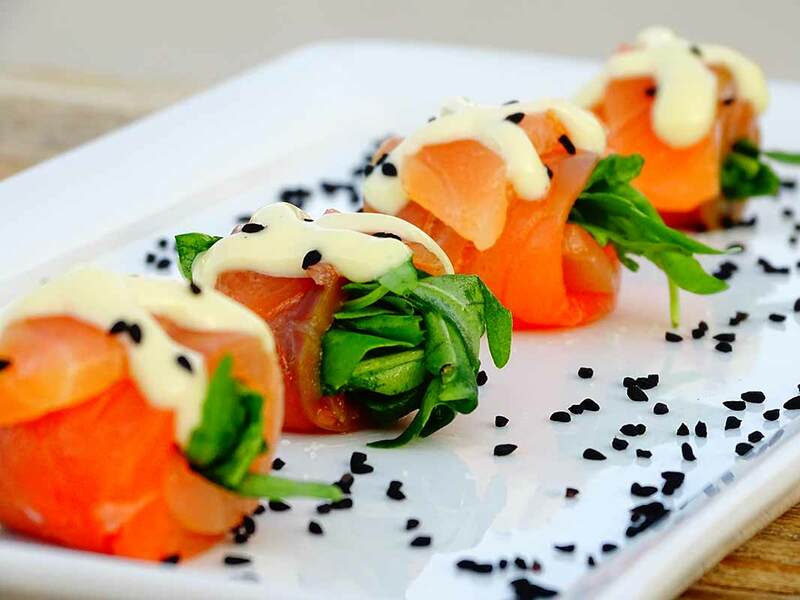 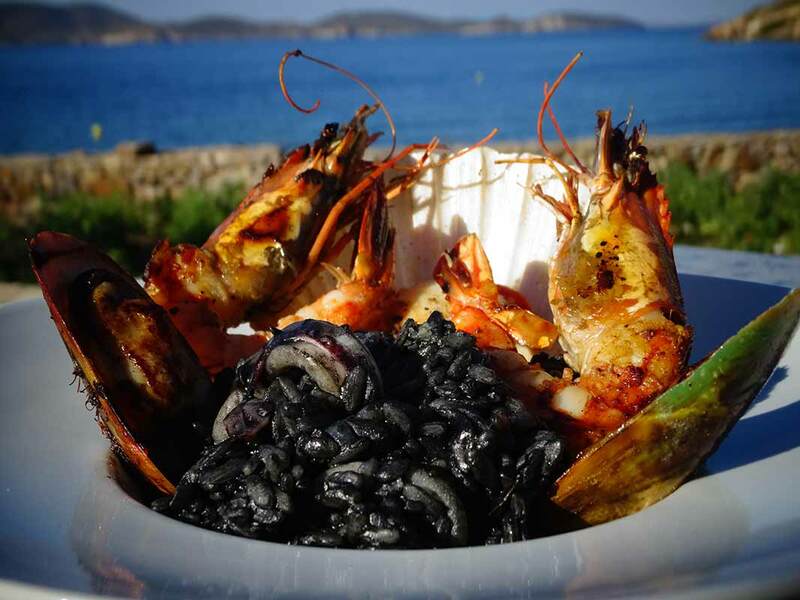 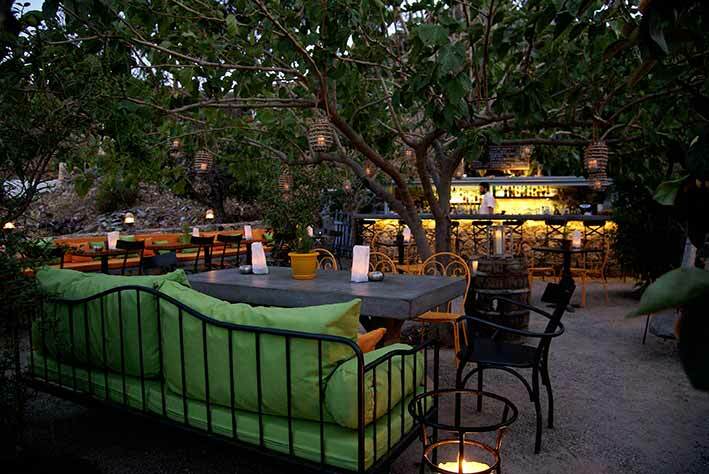 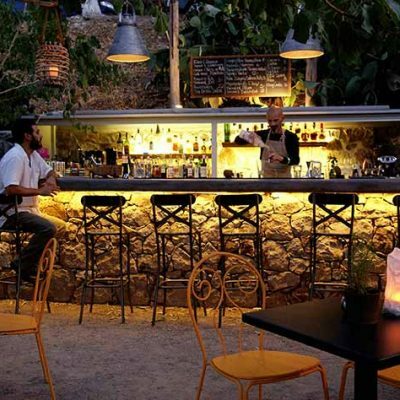 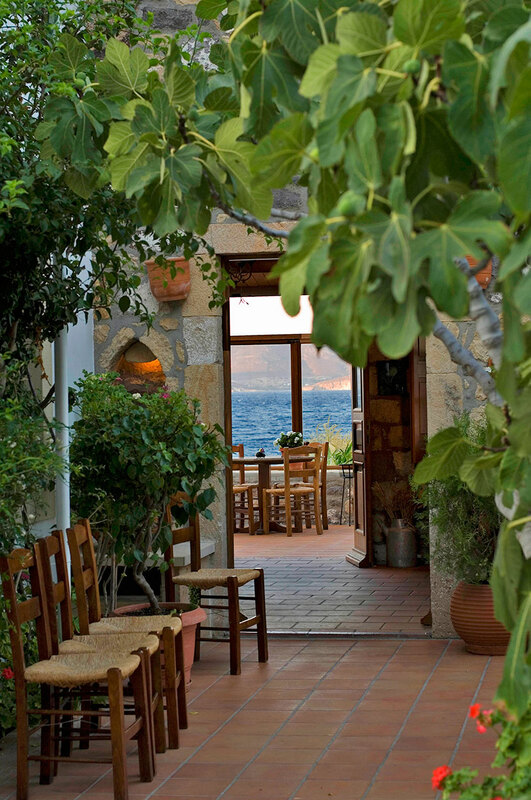 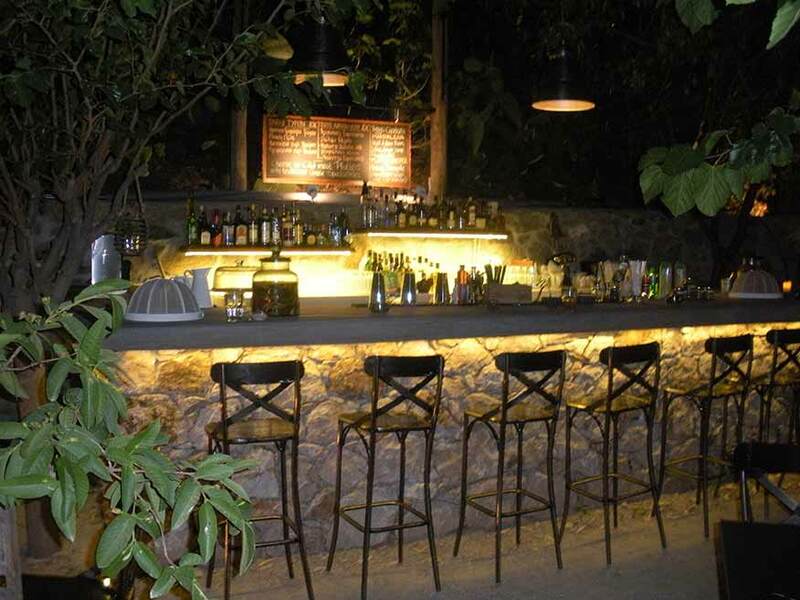 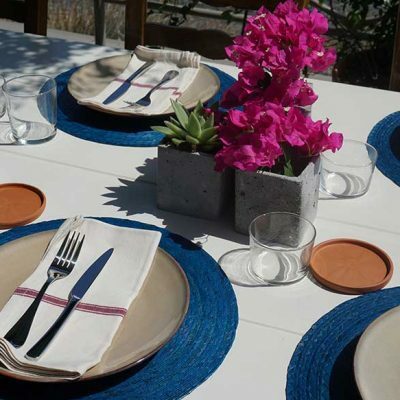 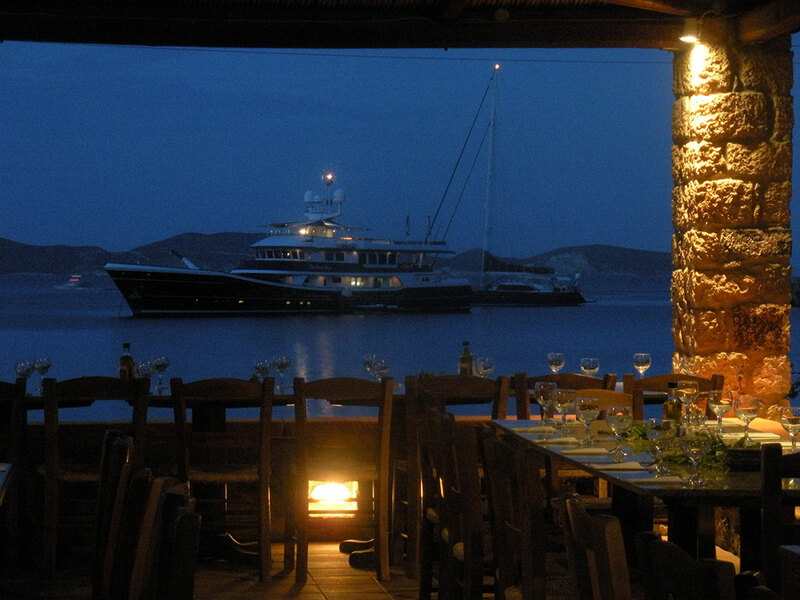 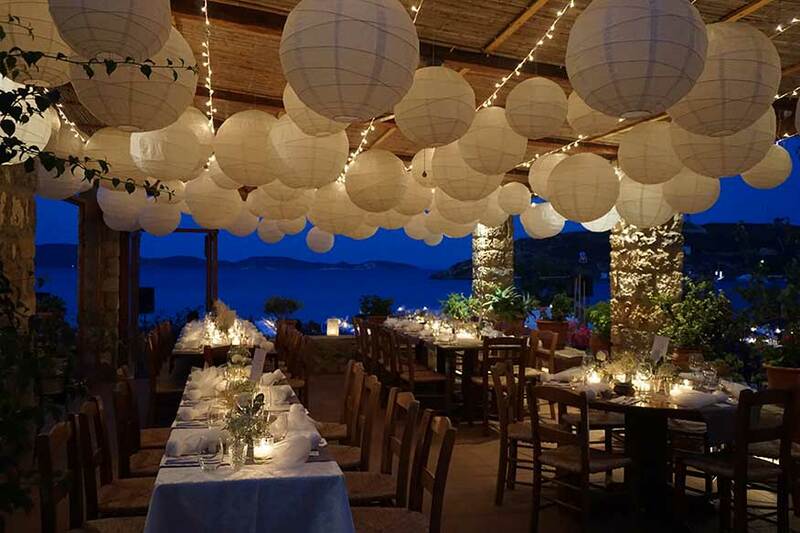 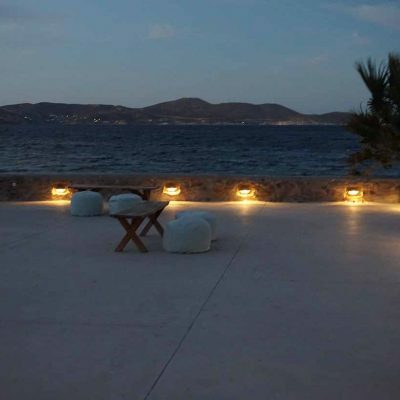 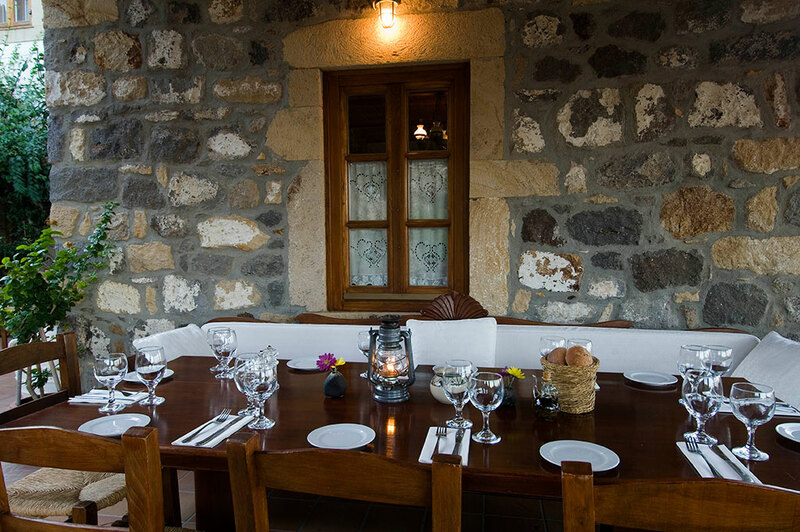 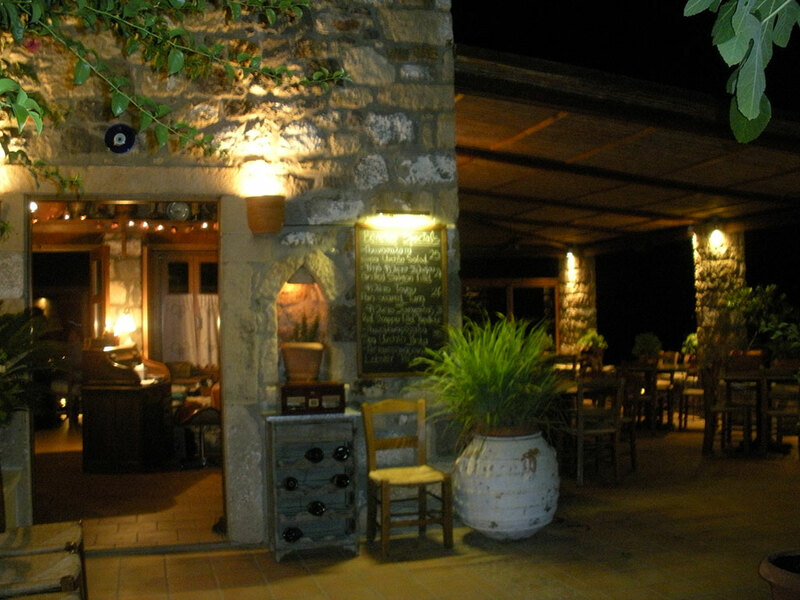 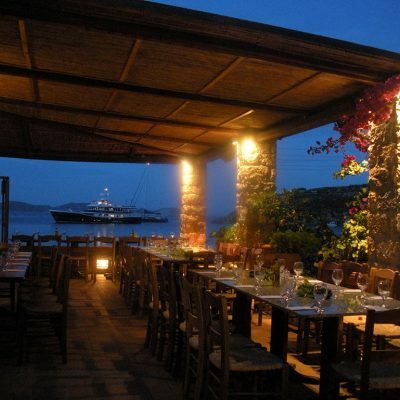 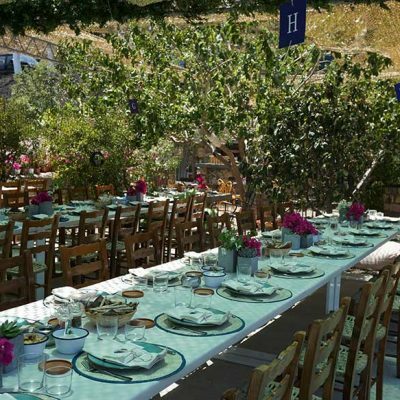 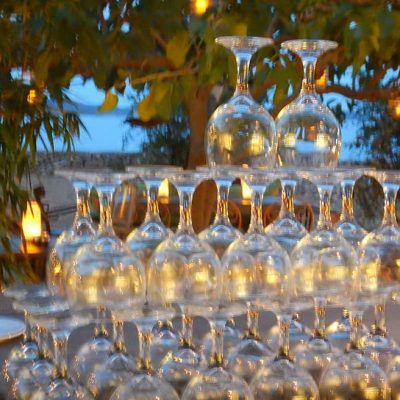 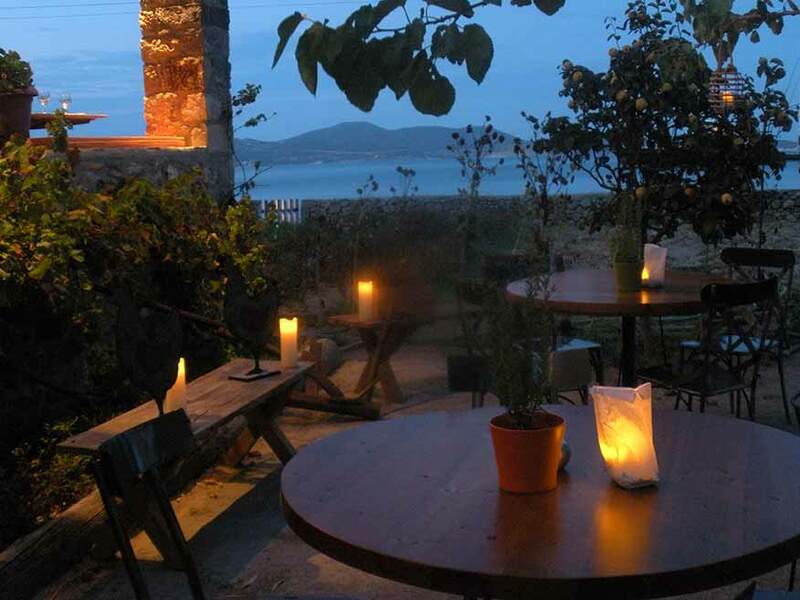 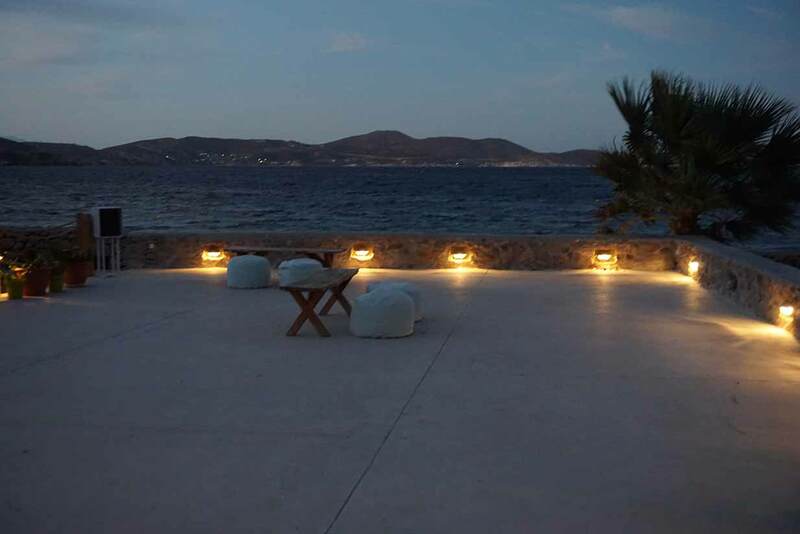 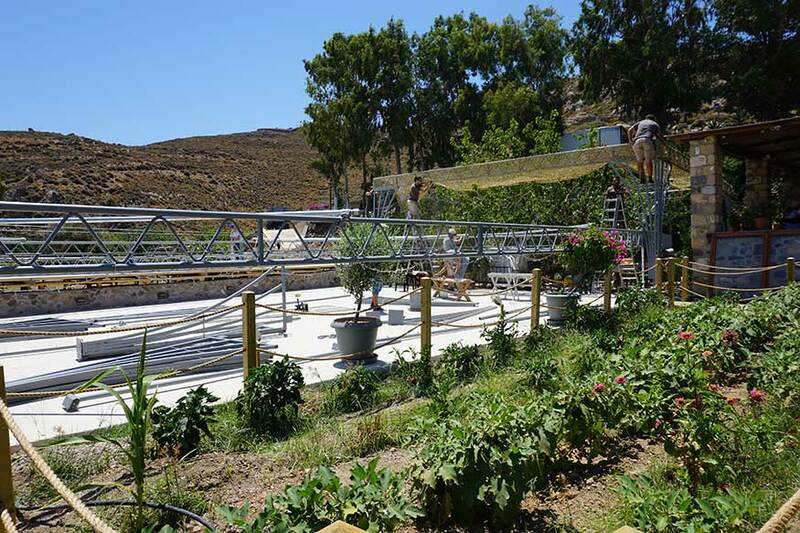 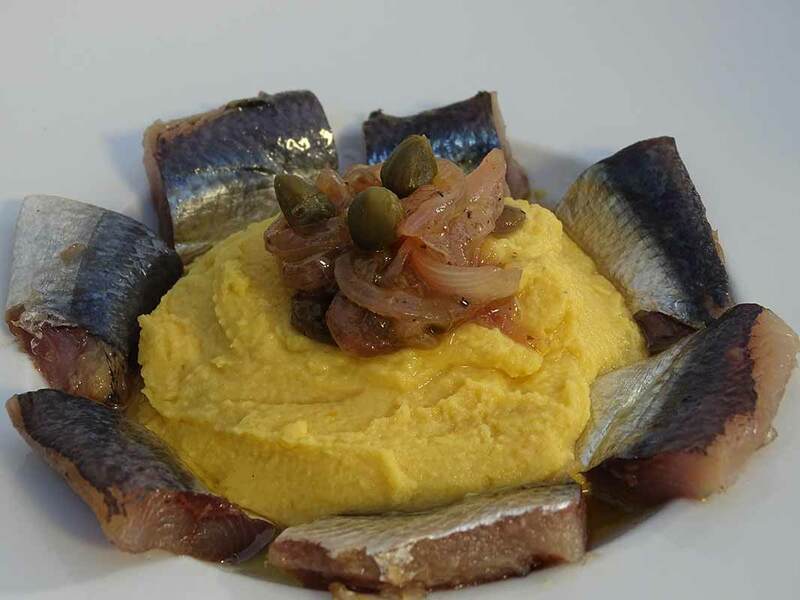 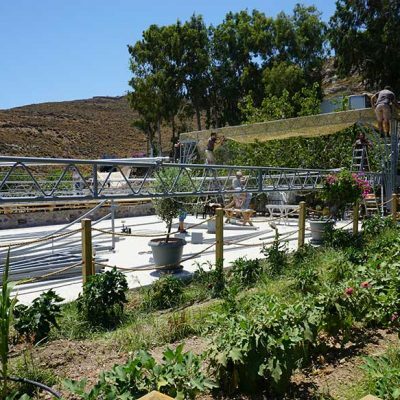 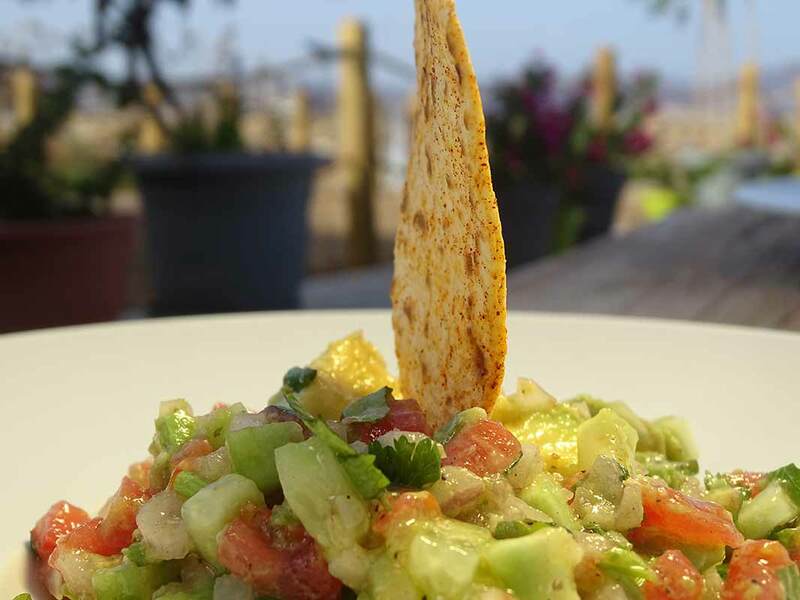 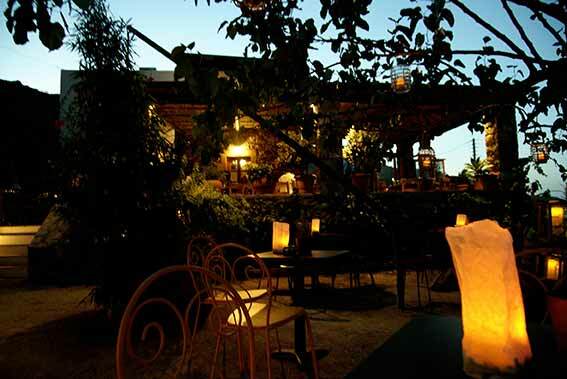 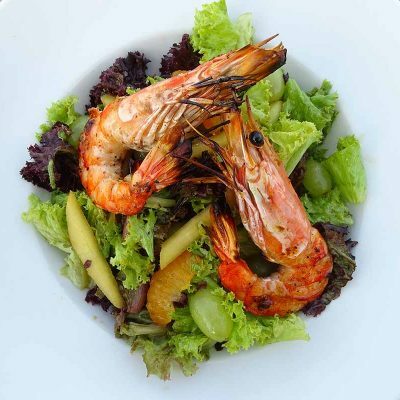 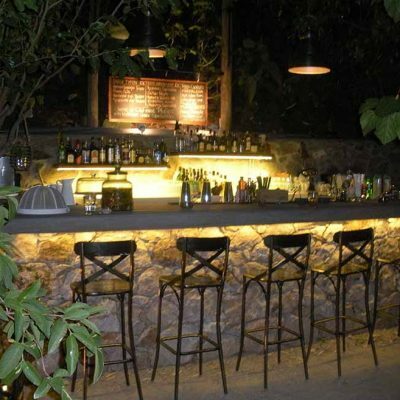 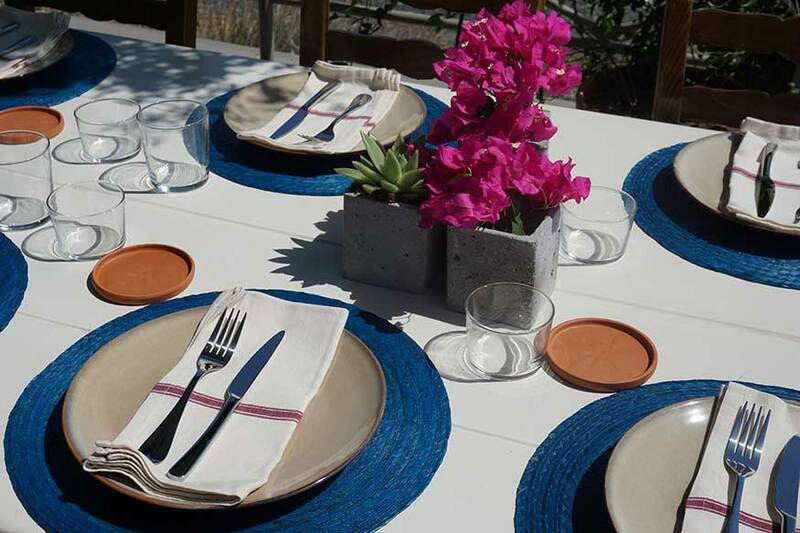 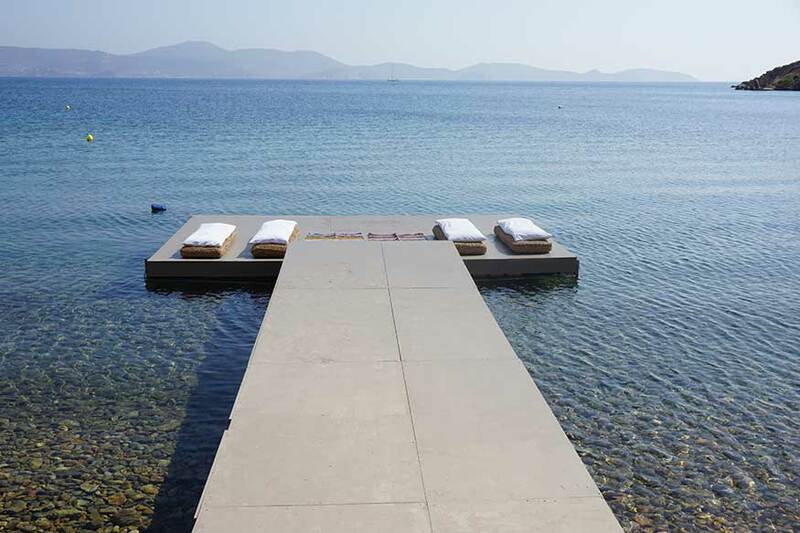 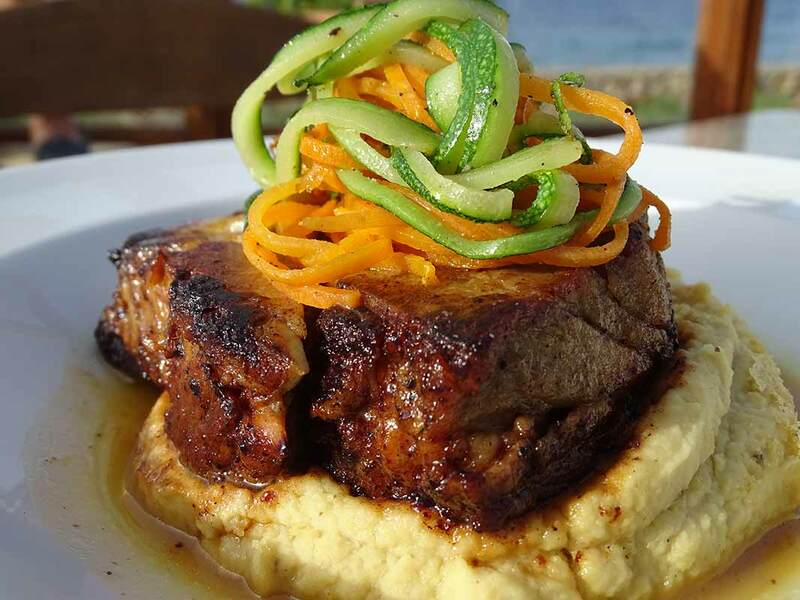 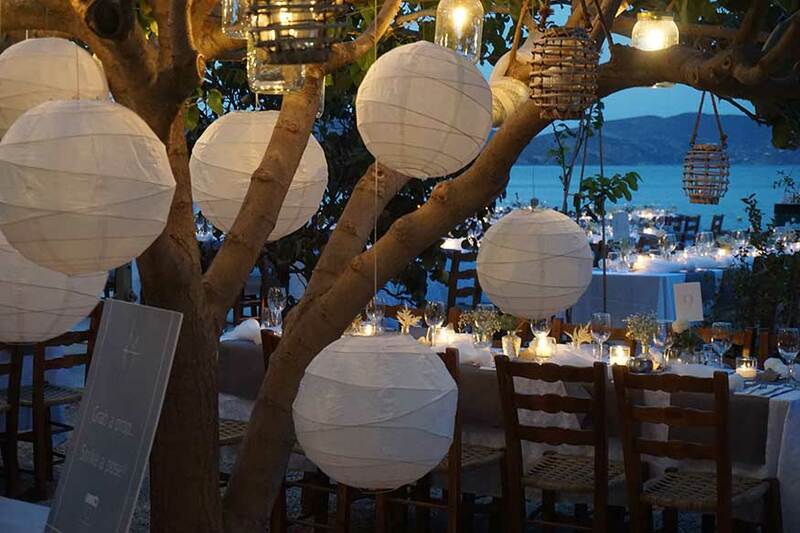 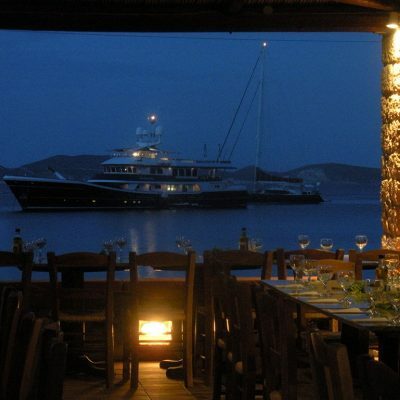 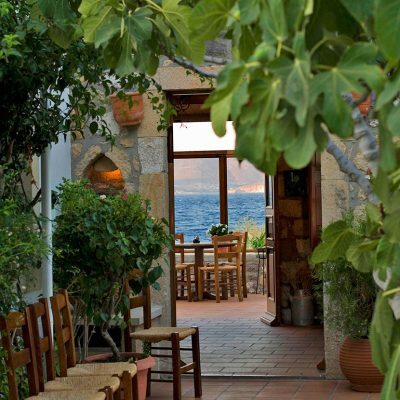 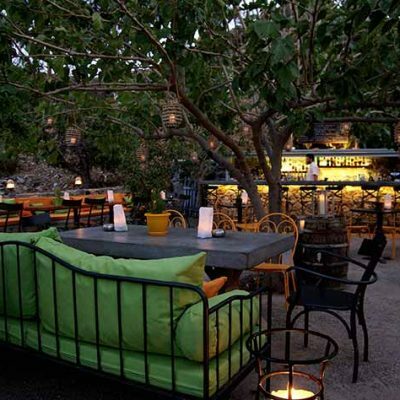 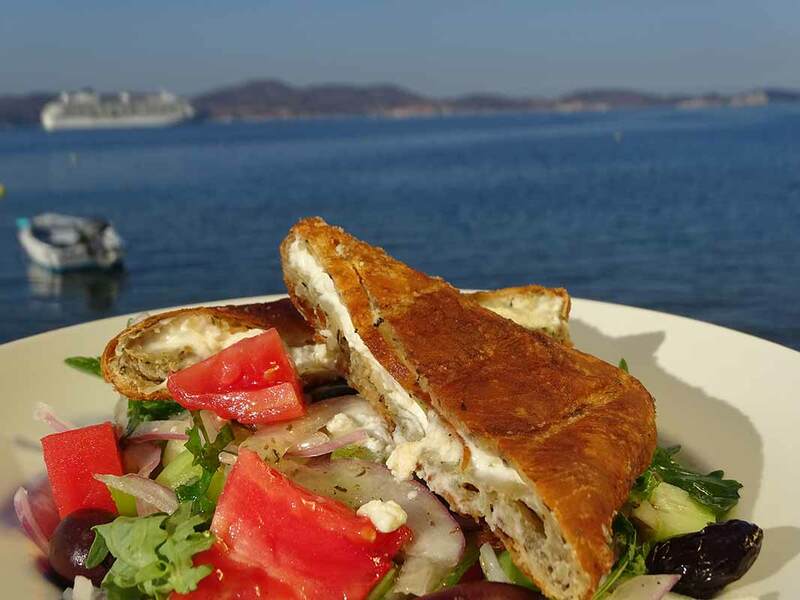 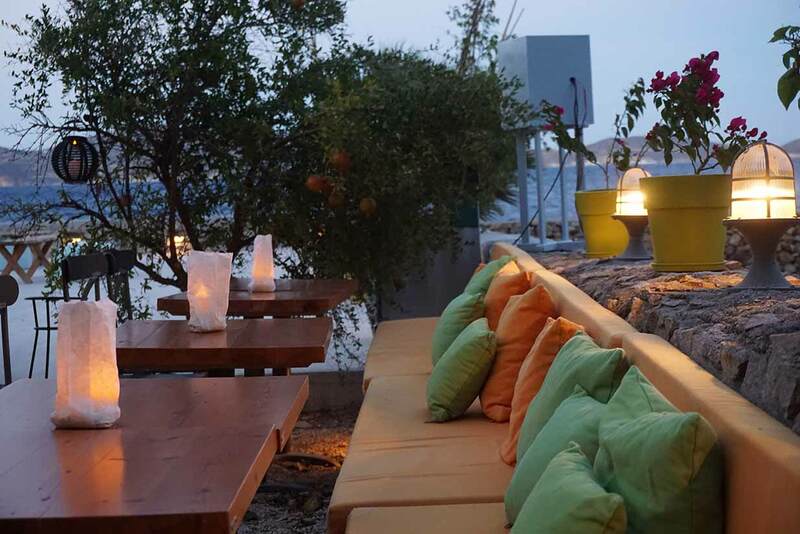 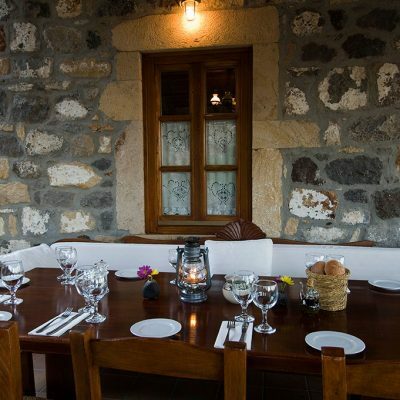 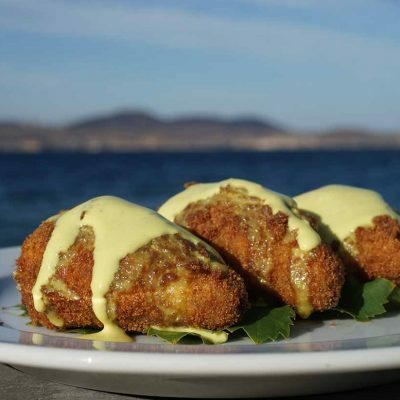 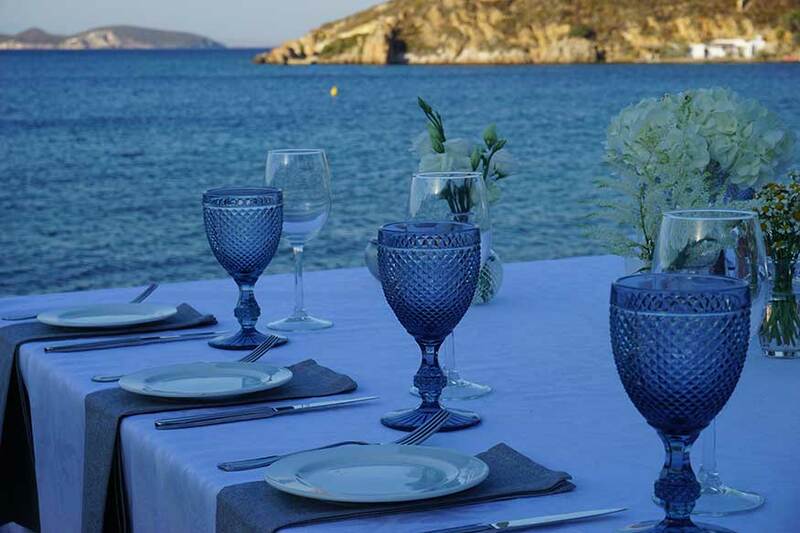 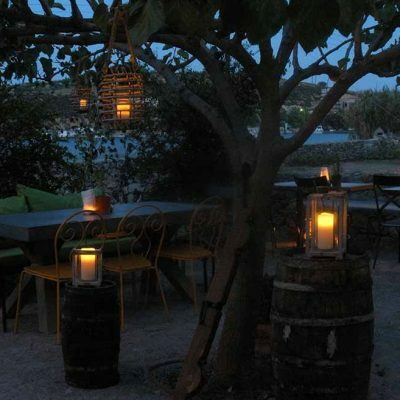 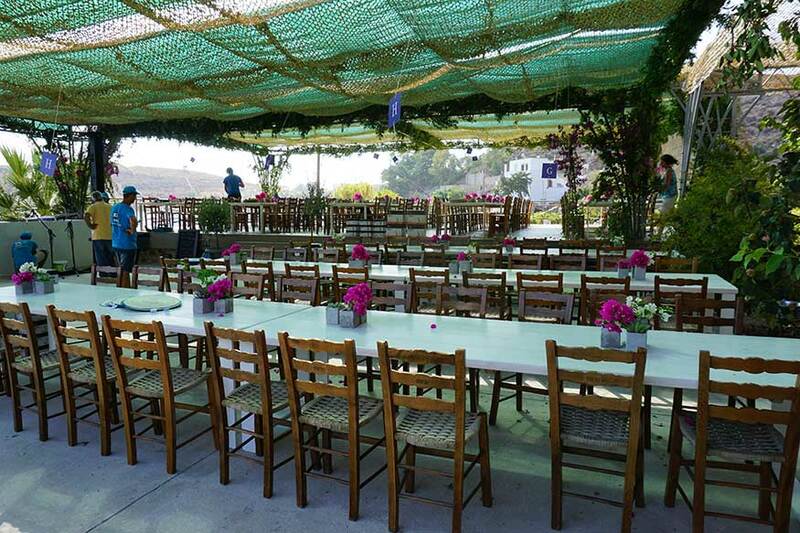 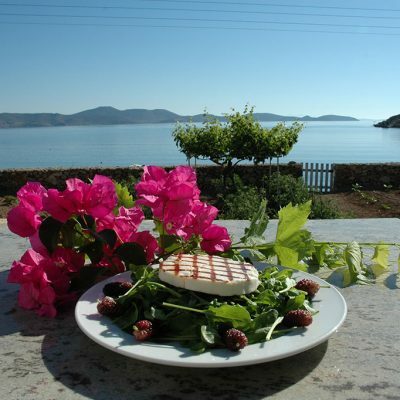 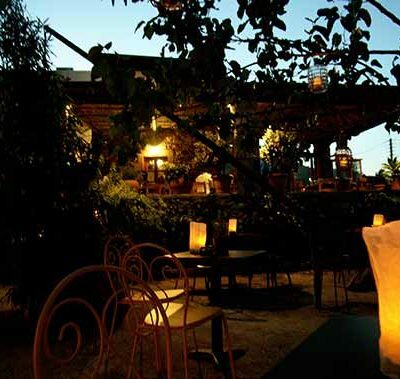 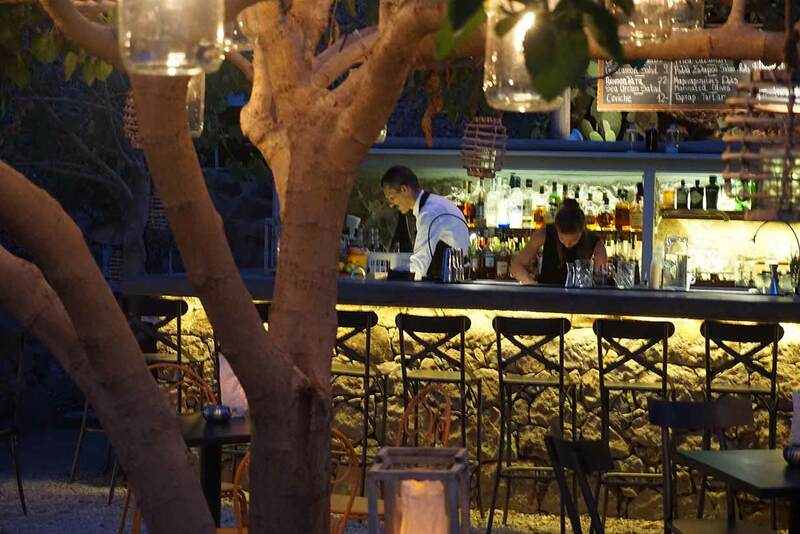 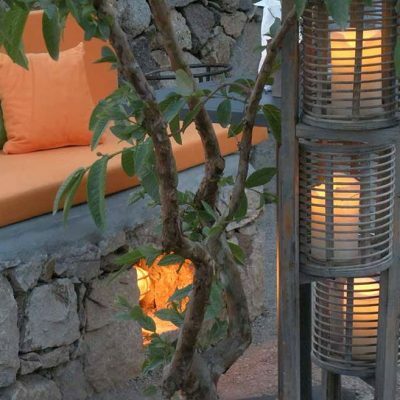 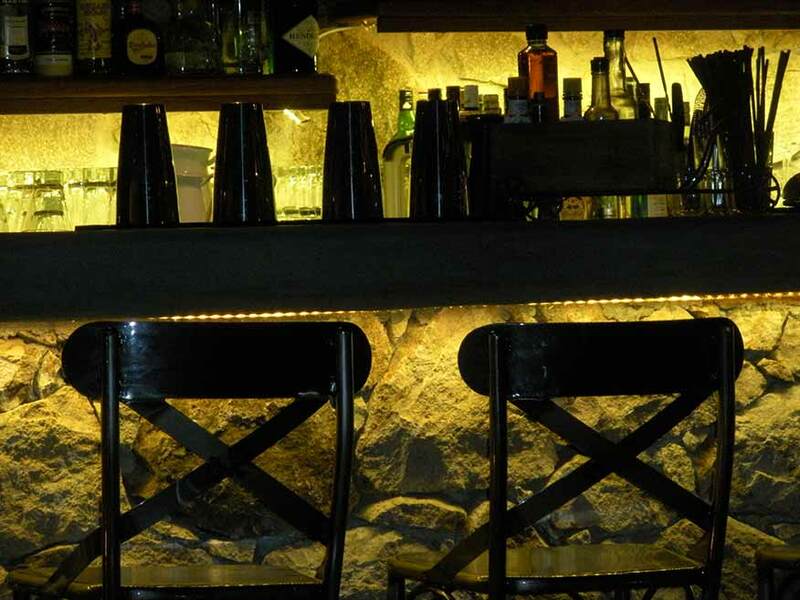 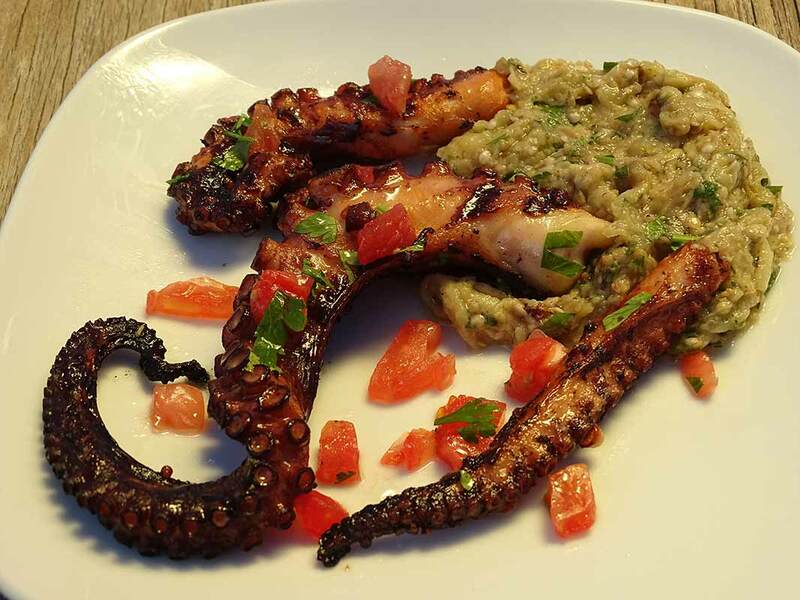 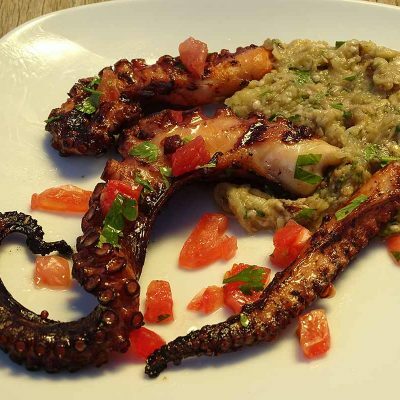 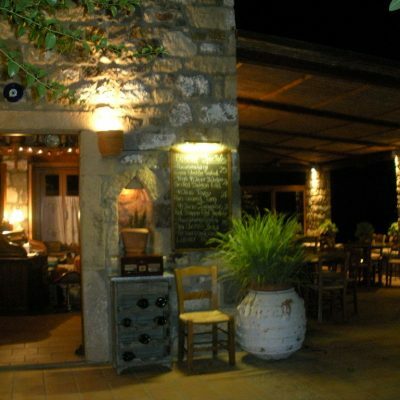 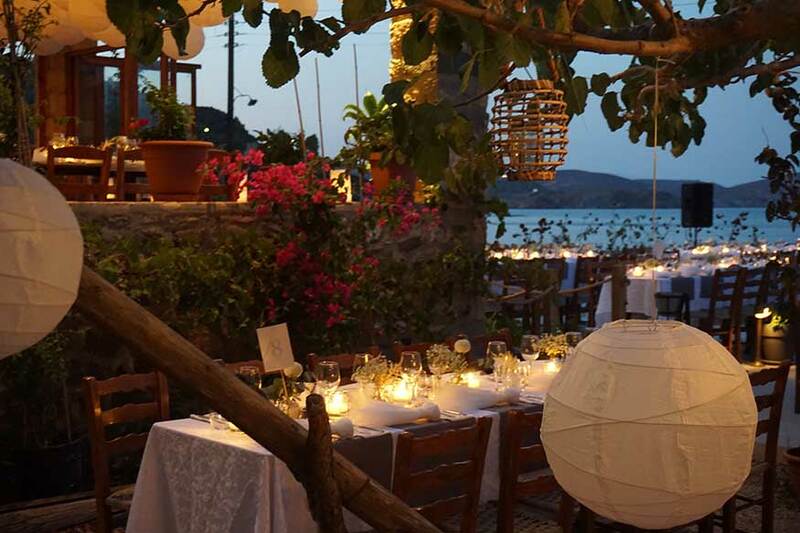 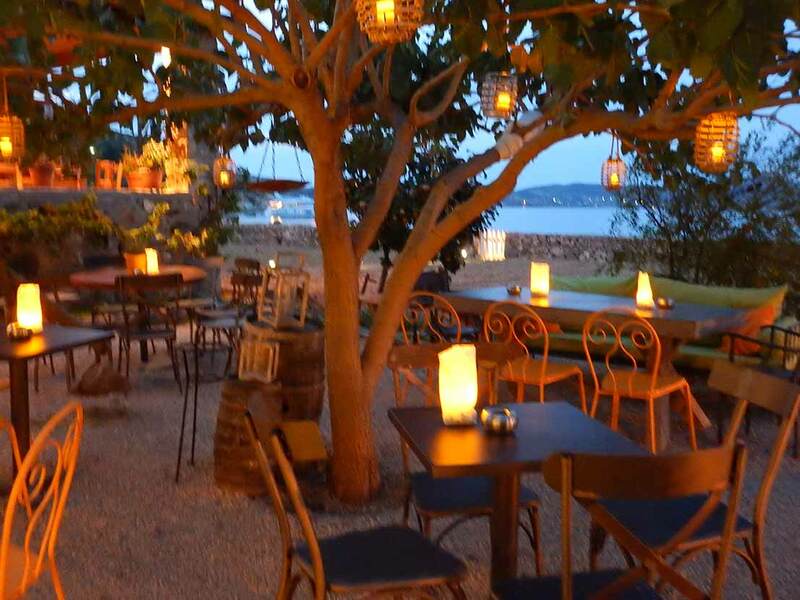 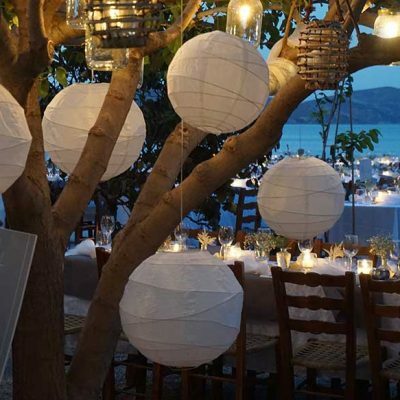 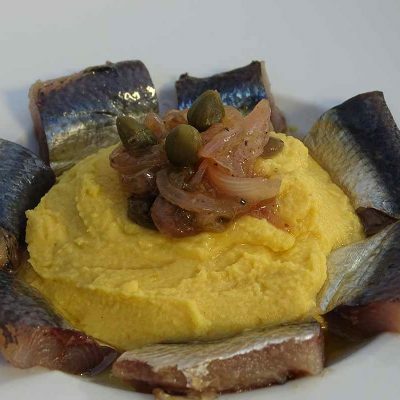 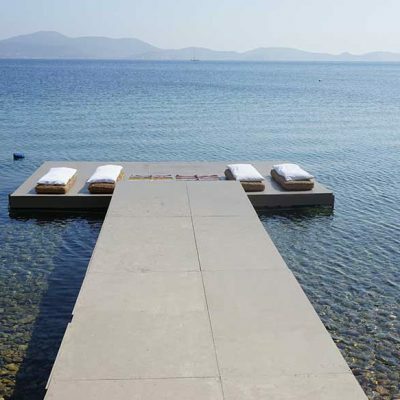 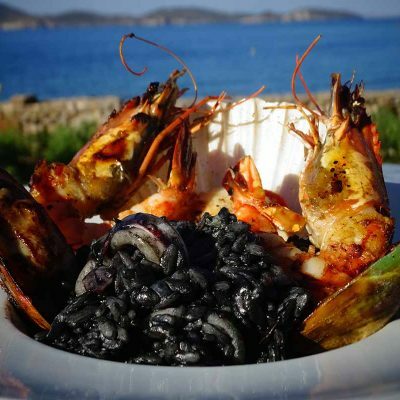 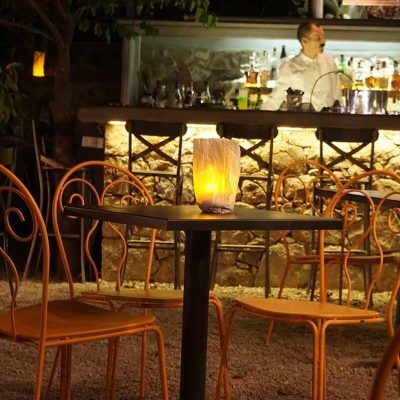 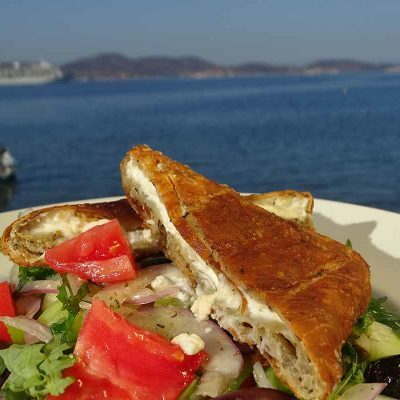 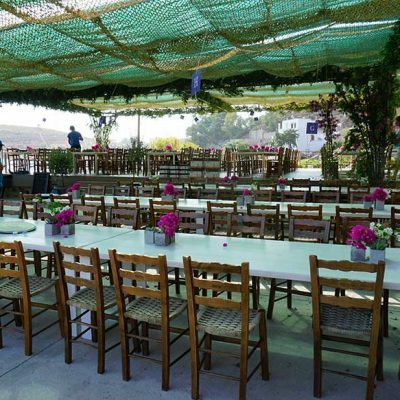 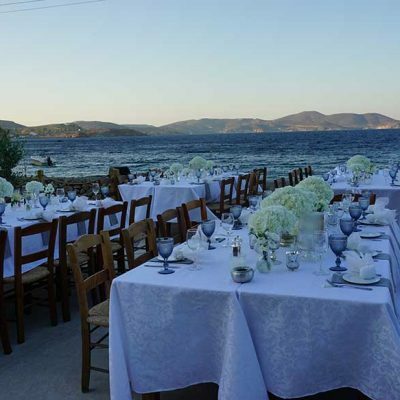 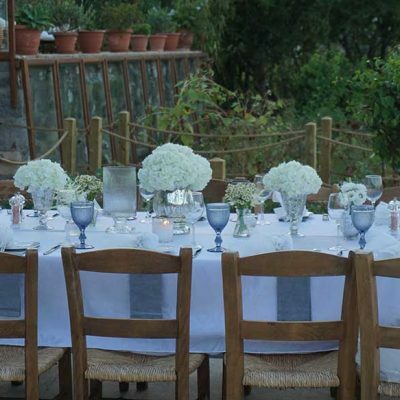 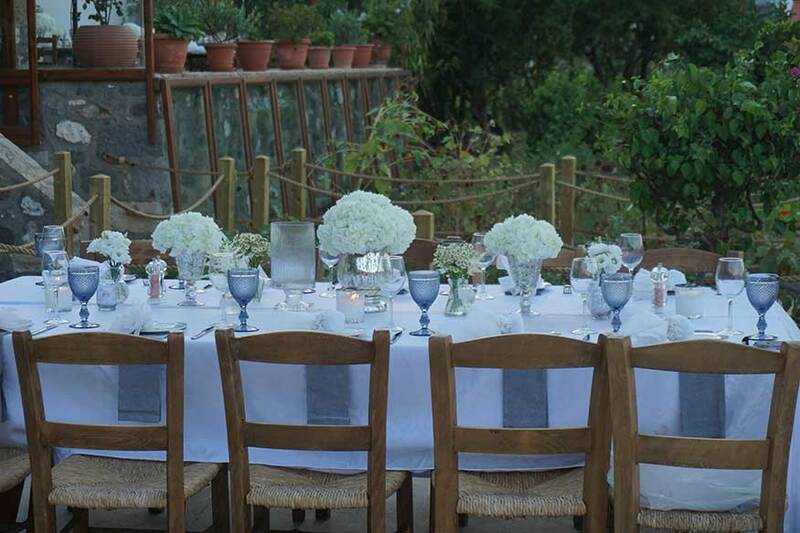 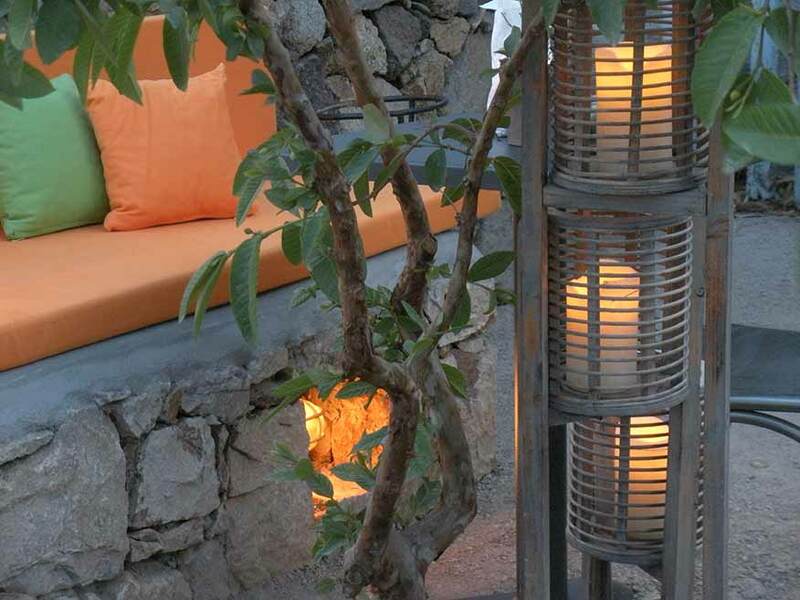 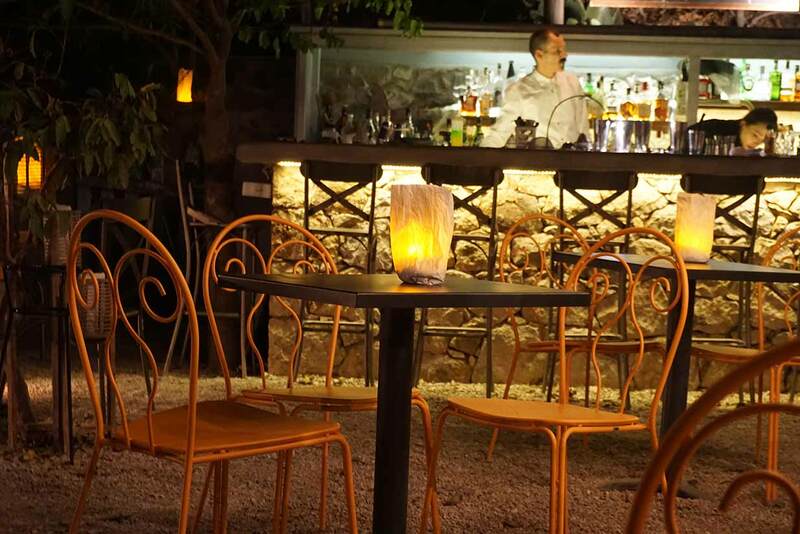 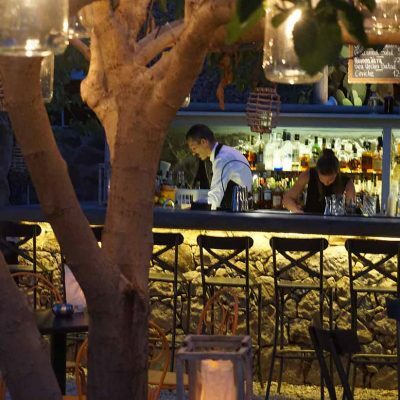 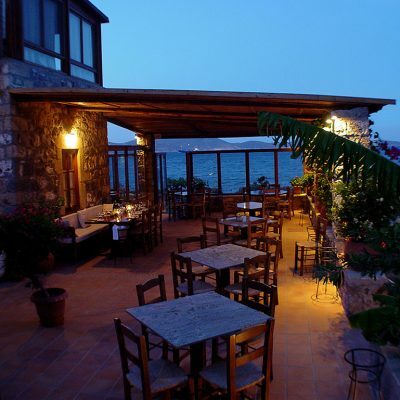 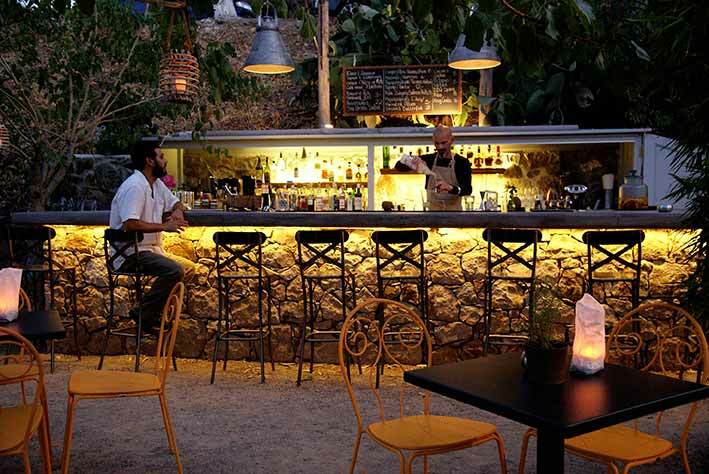 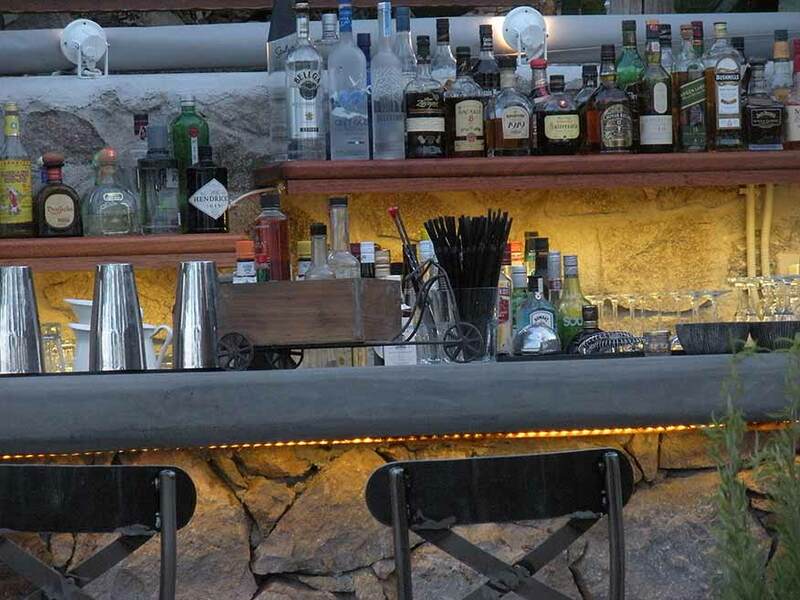 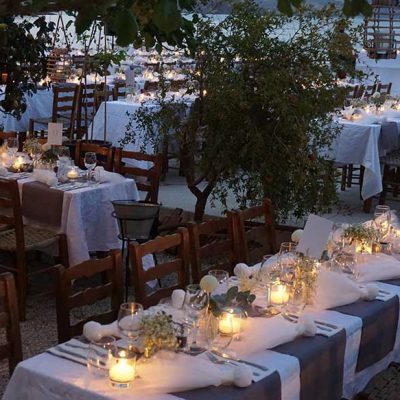 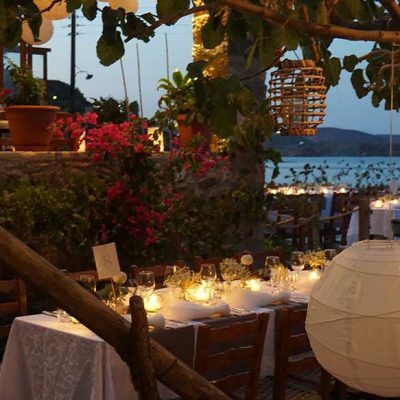 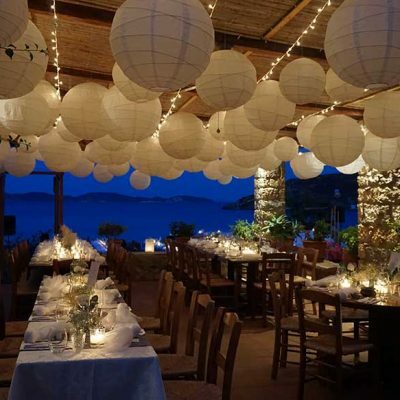 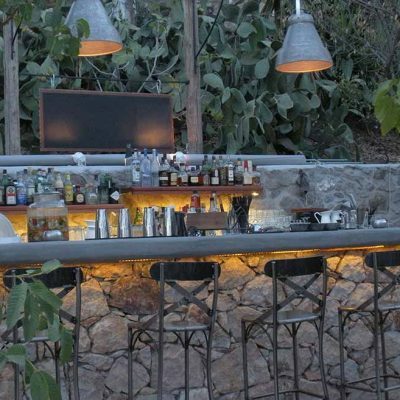 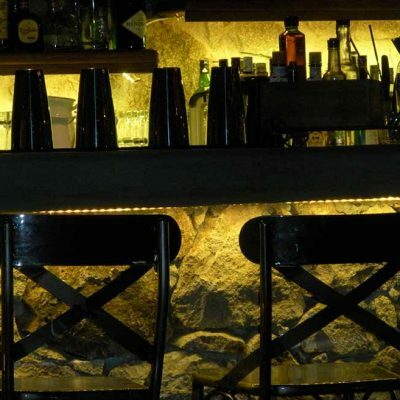 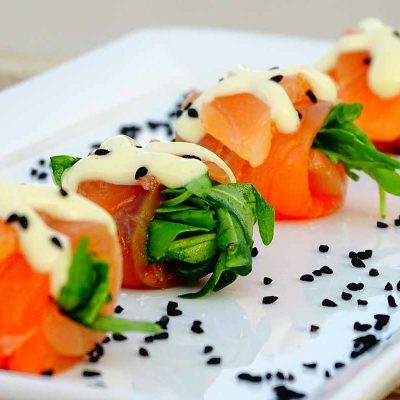 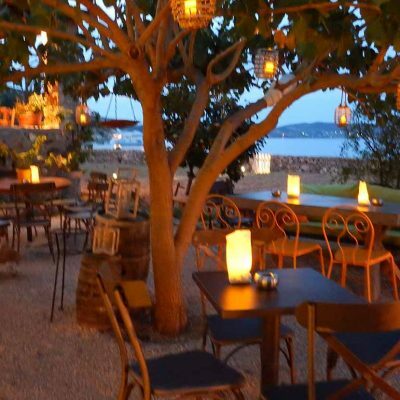 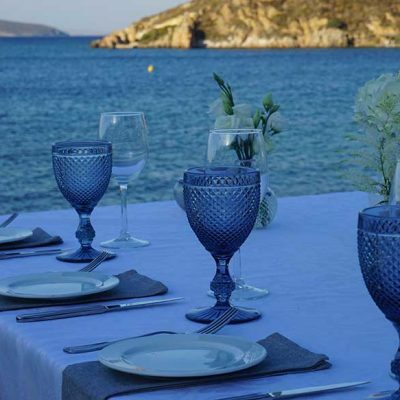 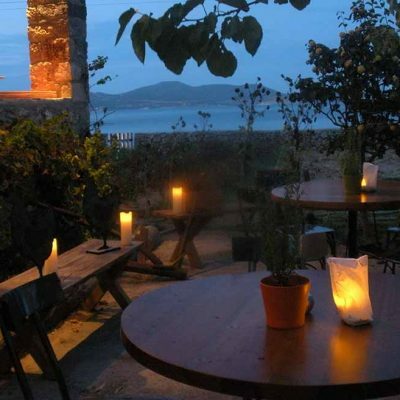 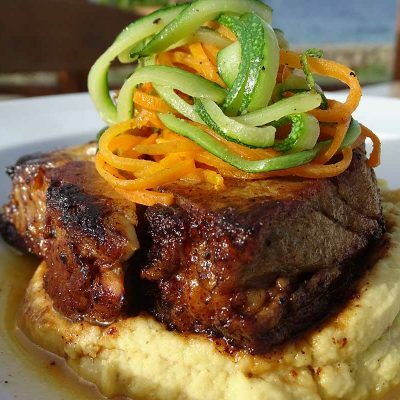 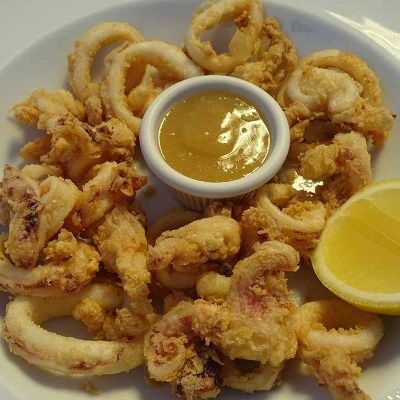 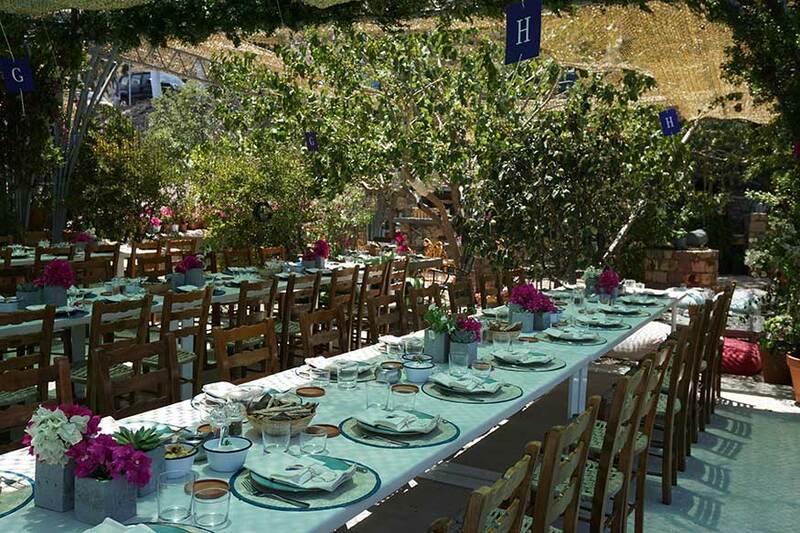 The restaurant is located just outside the town of Skala on a quiet inlet known as Sapsila overlooking the Aegean Sea. 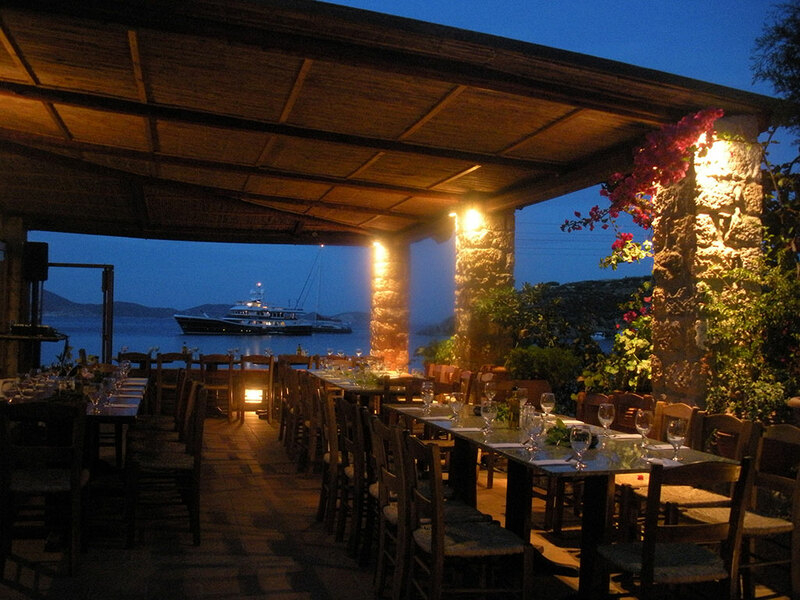 You can enjoy these beautiful views while dining on our veranda. 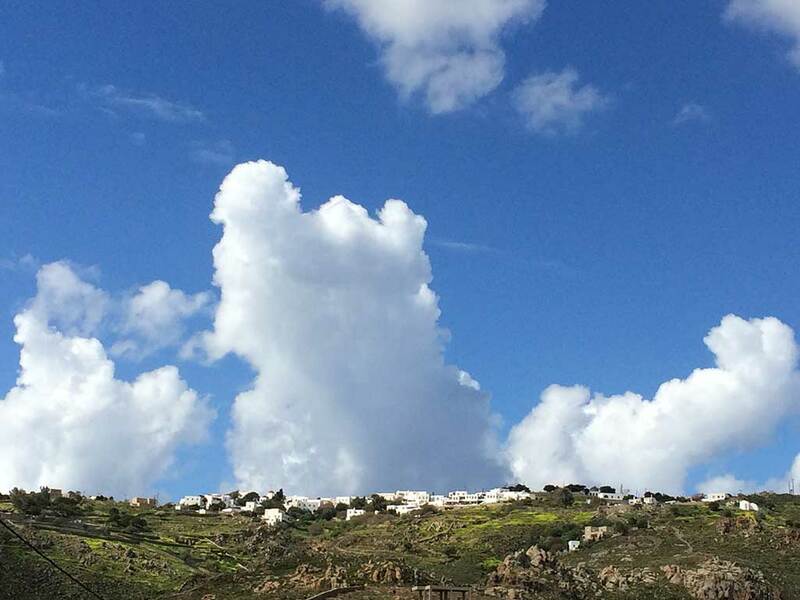 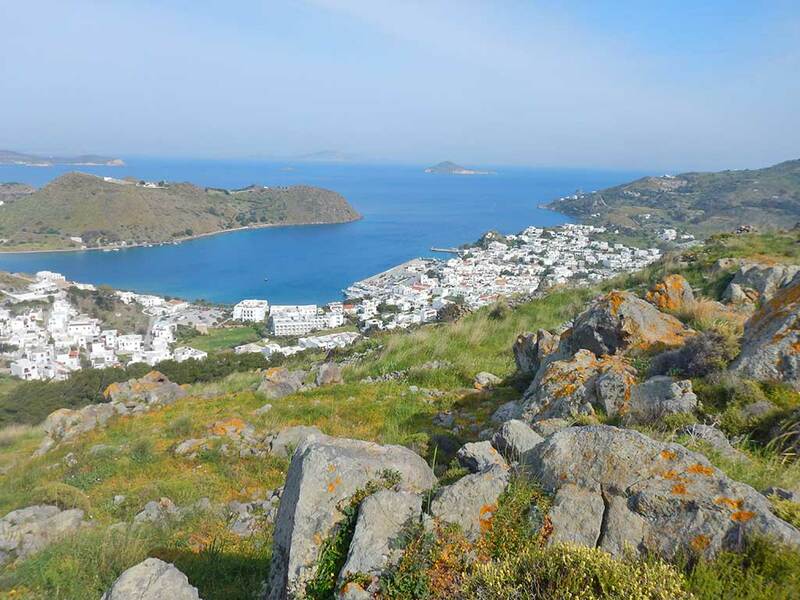 Patmos is known as the Island of the Apocalypse. 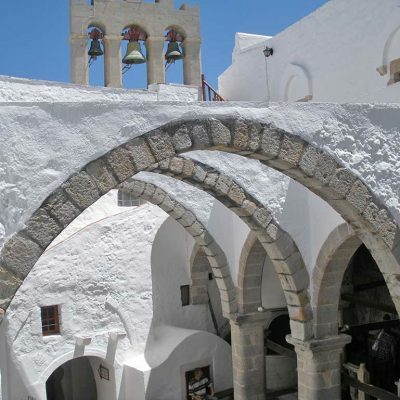 After having a vision in the cave, St. John the Theologian is said to have written the Book of Revelations of the Bible. 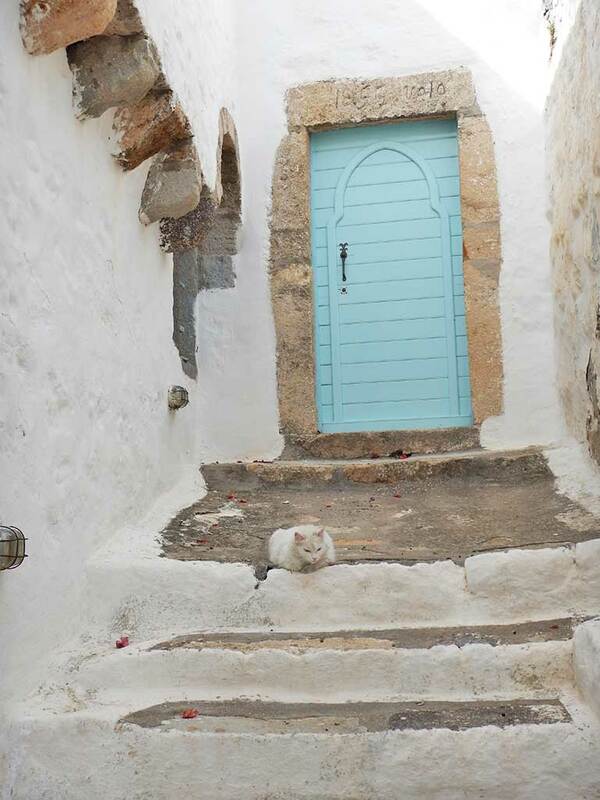 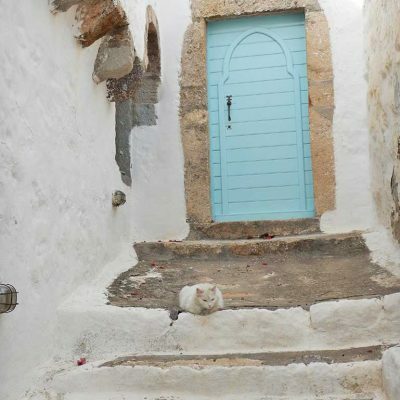 The 11th century monastery dedicated to the saint overlooks the white-washed houses in this magical hilltop village called Hora. 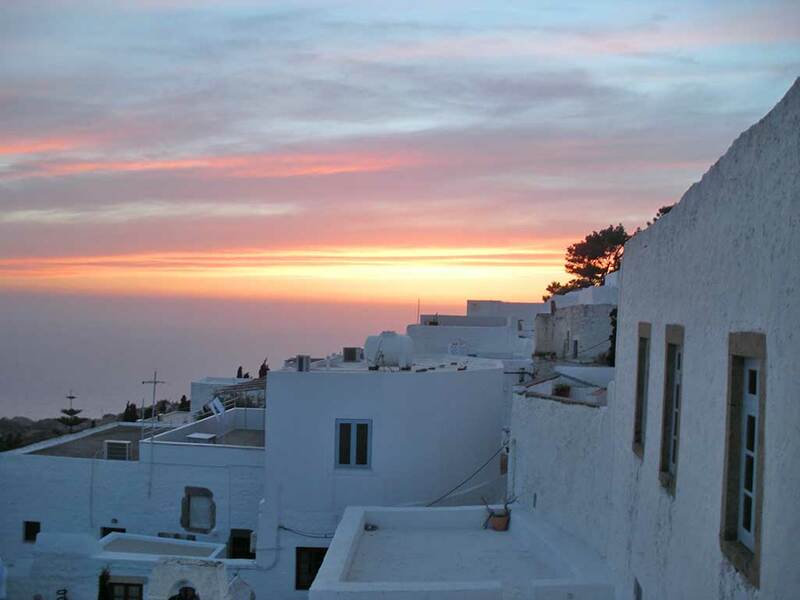 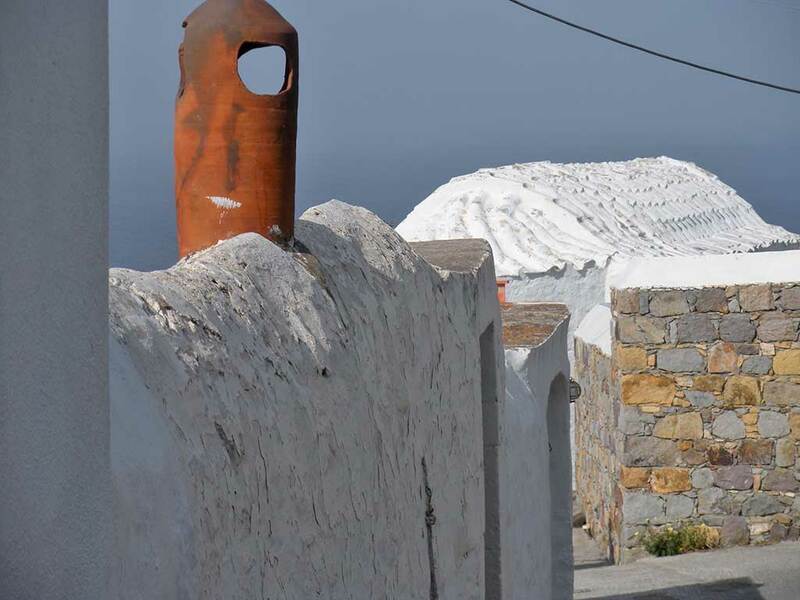 It is one of the most beautiful traditional villages in all of Greece. 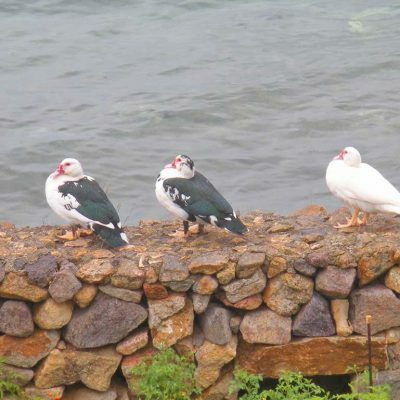 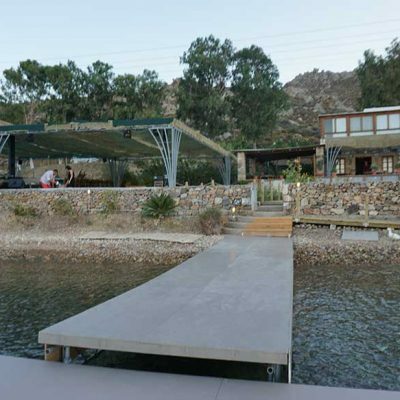 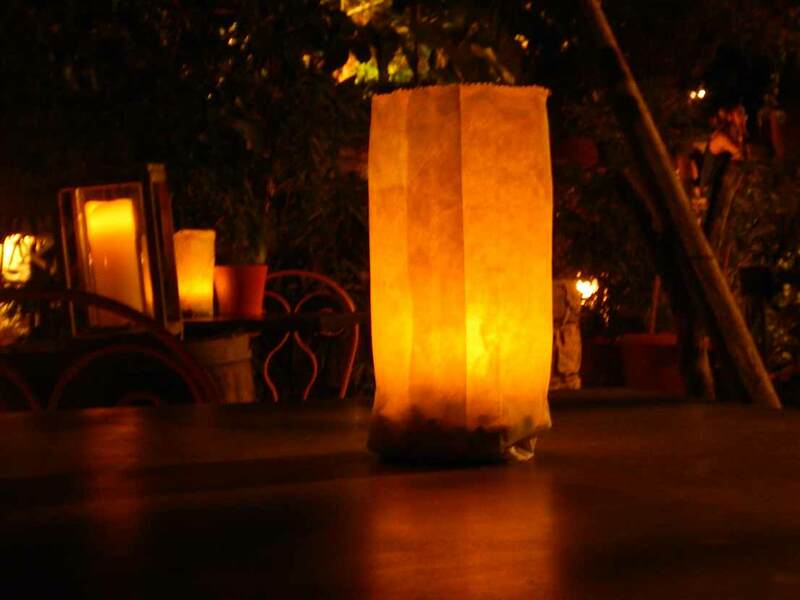 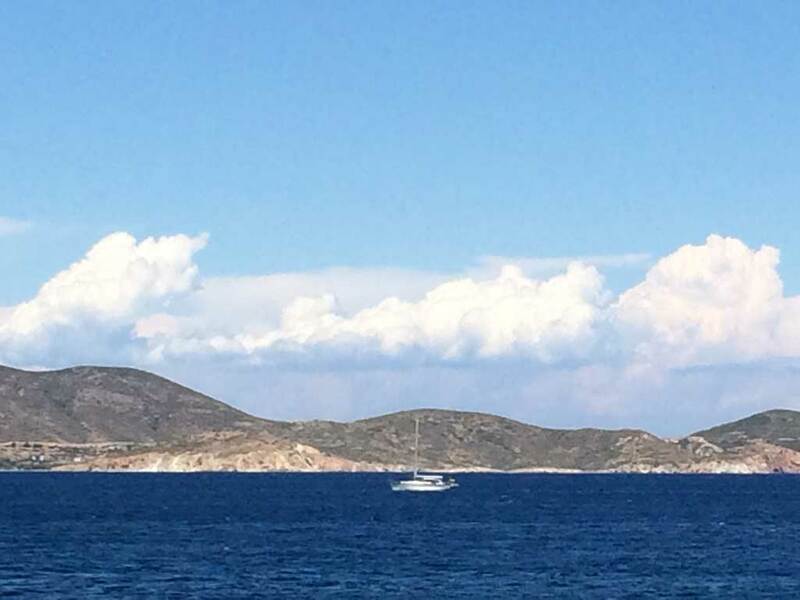 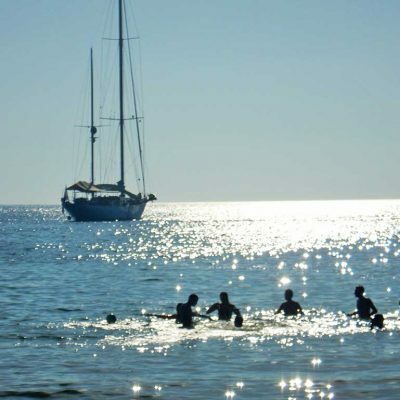 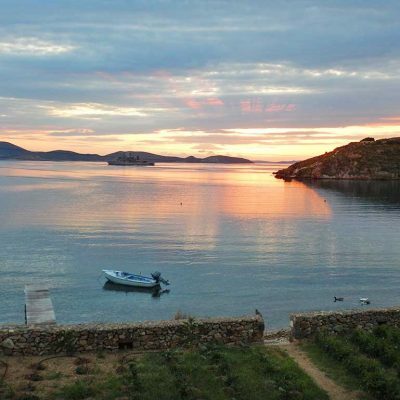 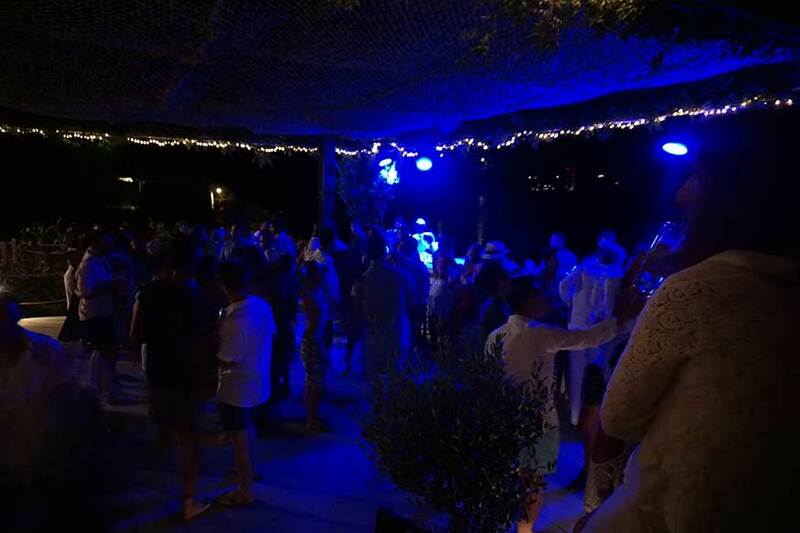 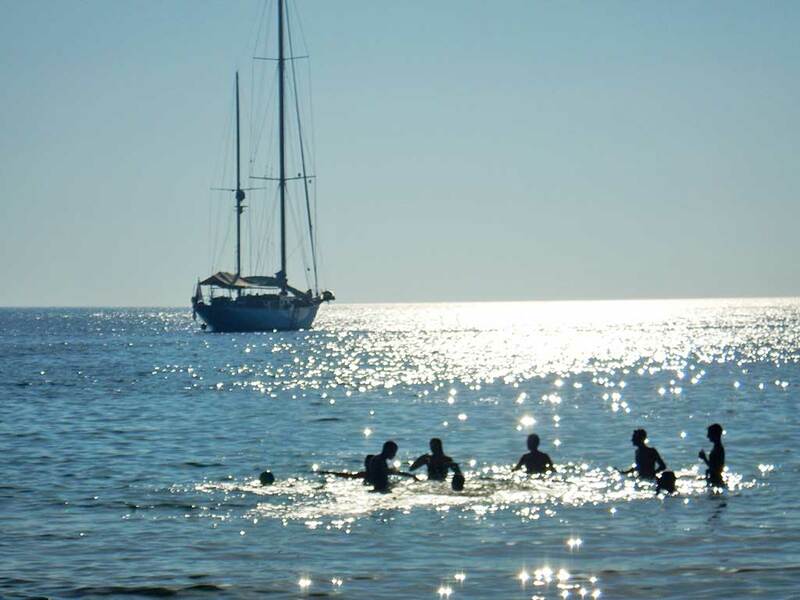 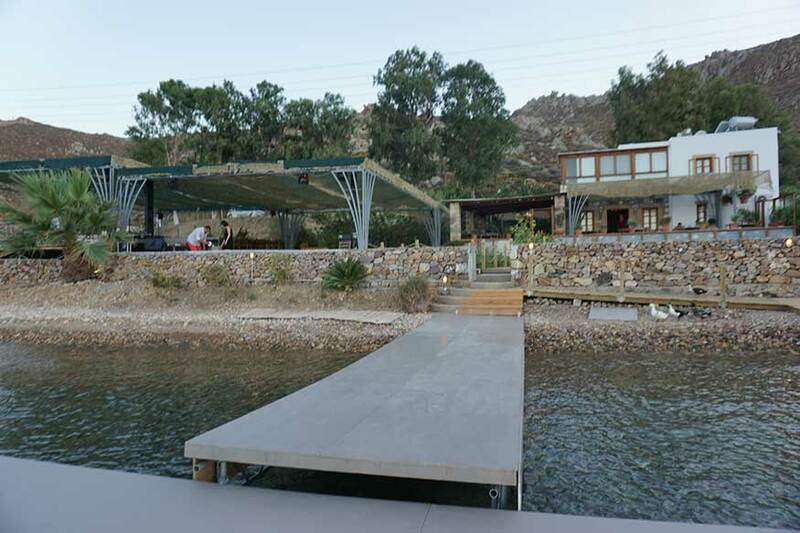 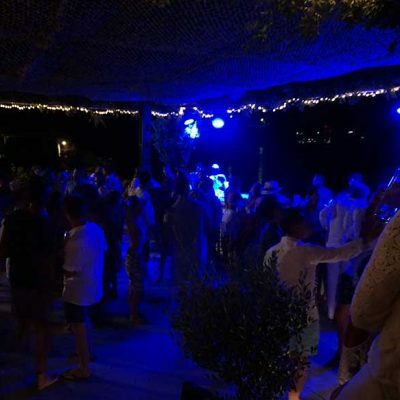 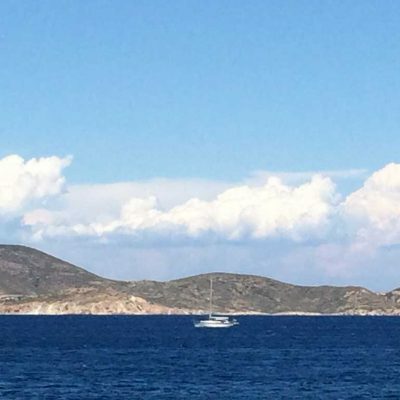 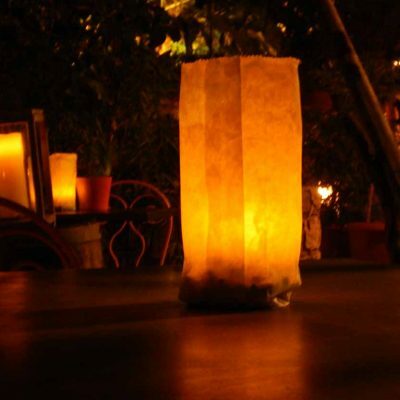 The Island has a unique spiritual energy and natural beauty that attract artists, designers, writers and those seeking a peaceful relaxation in an inspiring setting. 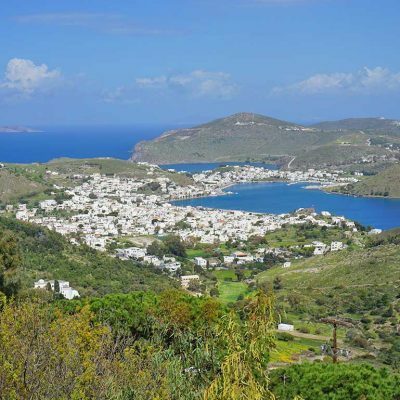 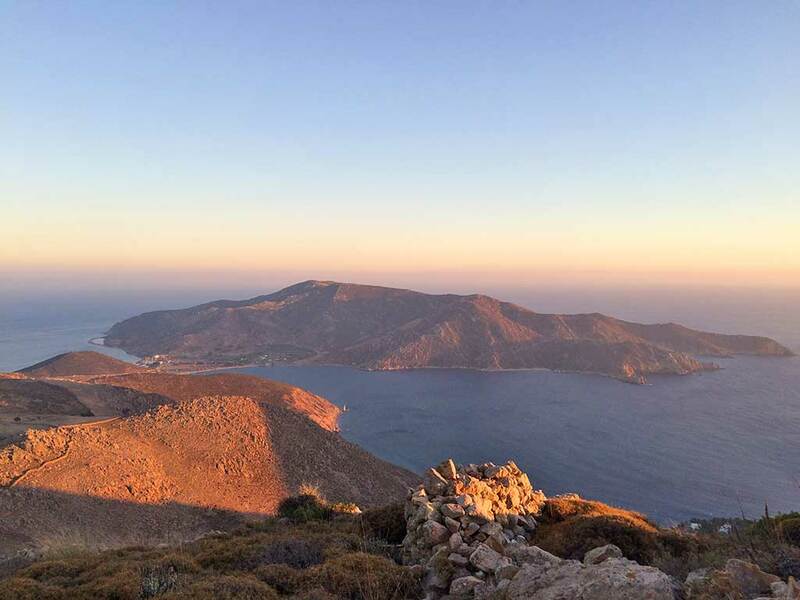 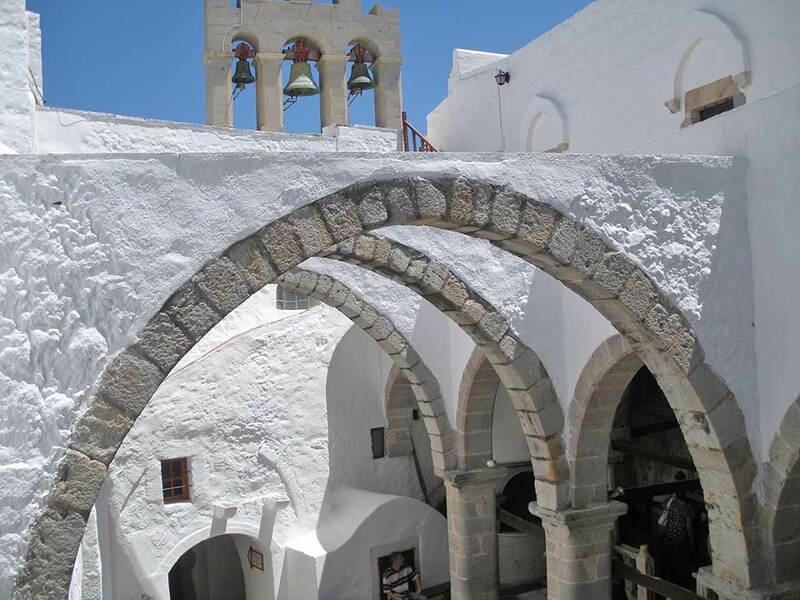 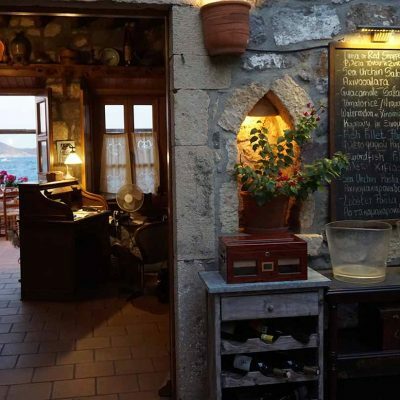 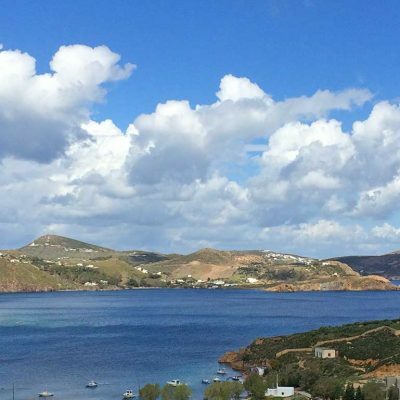 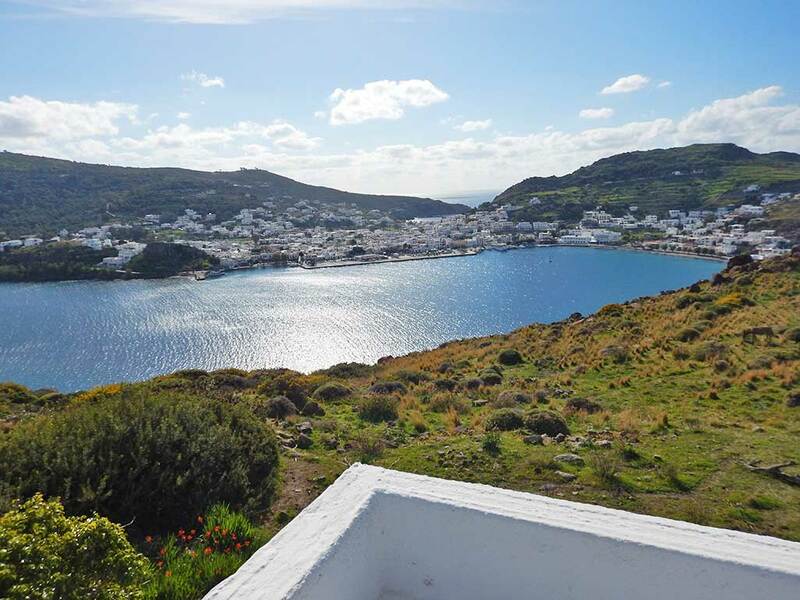 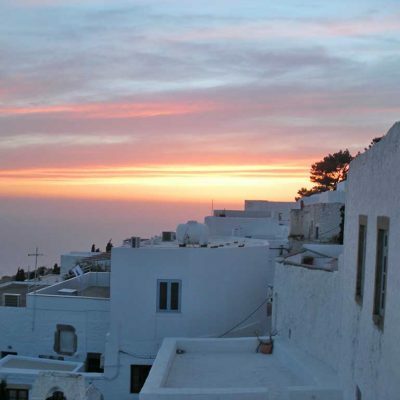 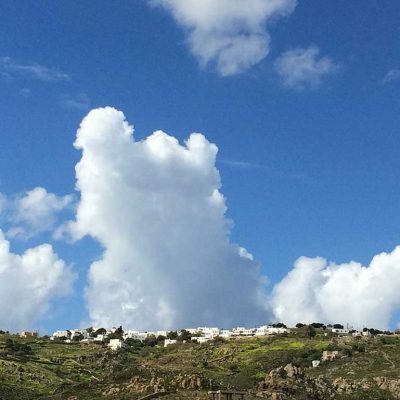 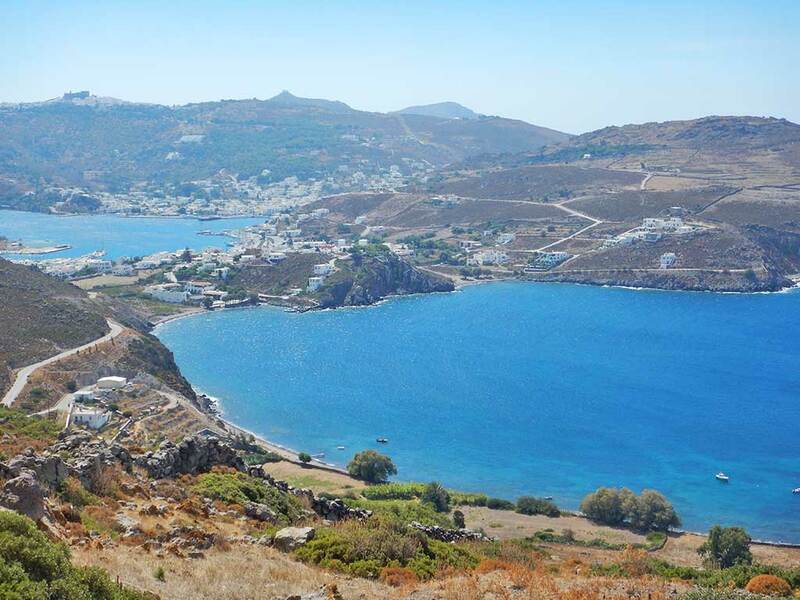 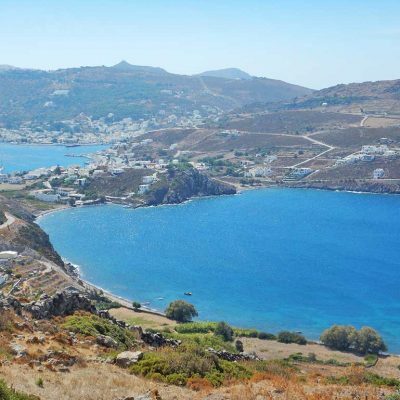 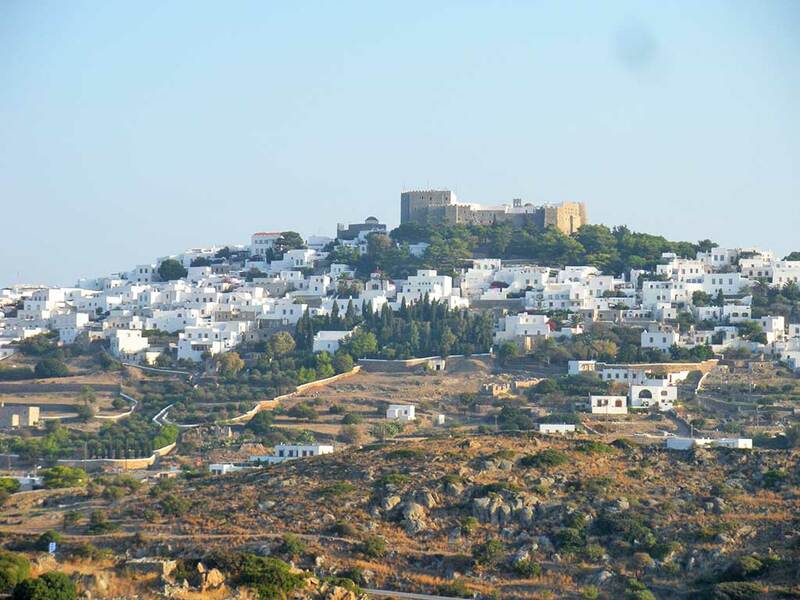 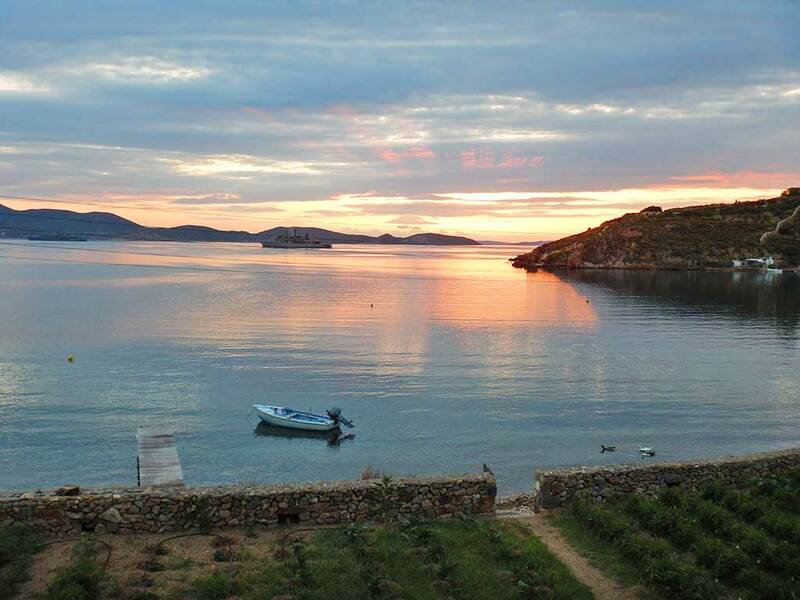 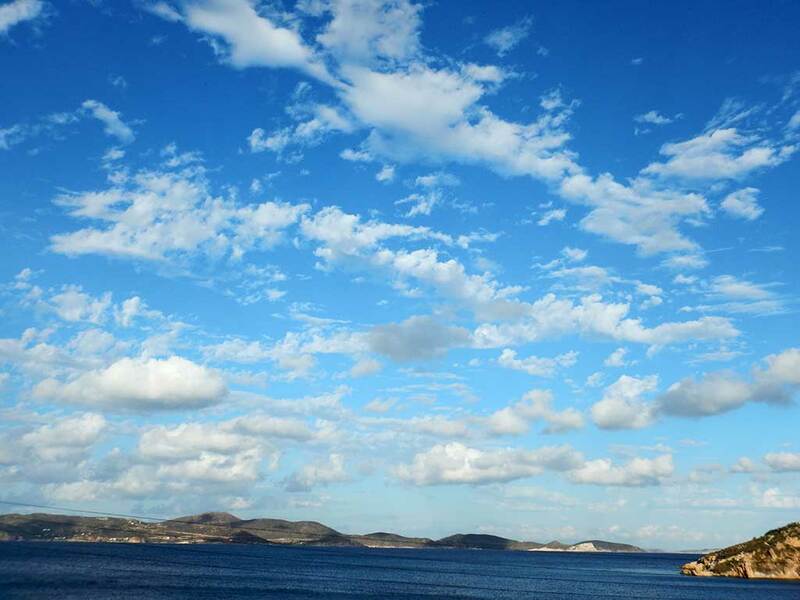 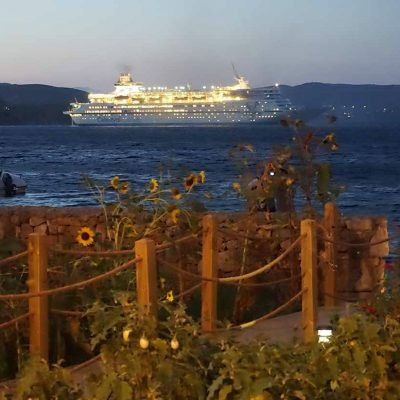 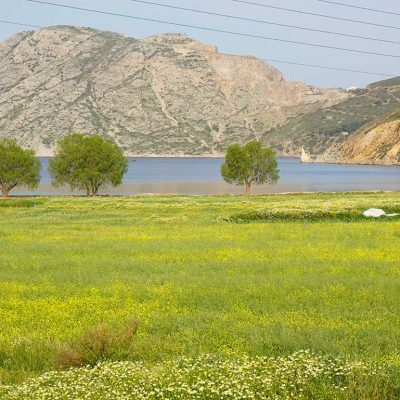 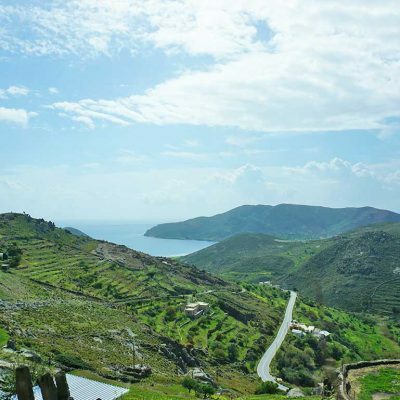 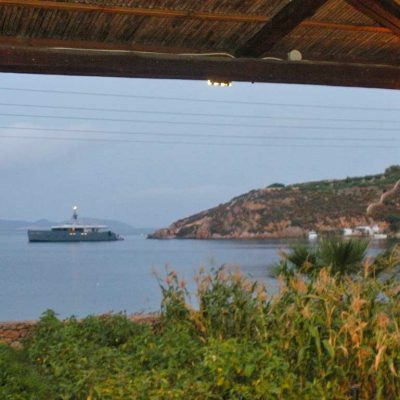 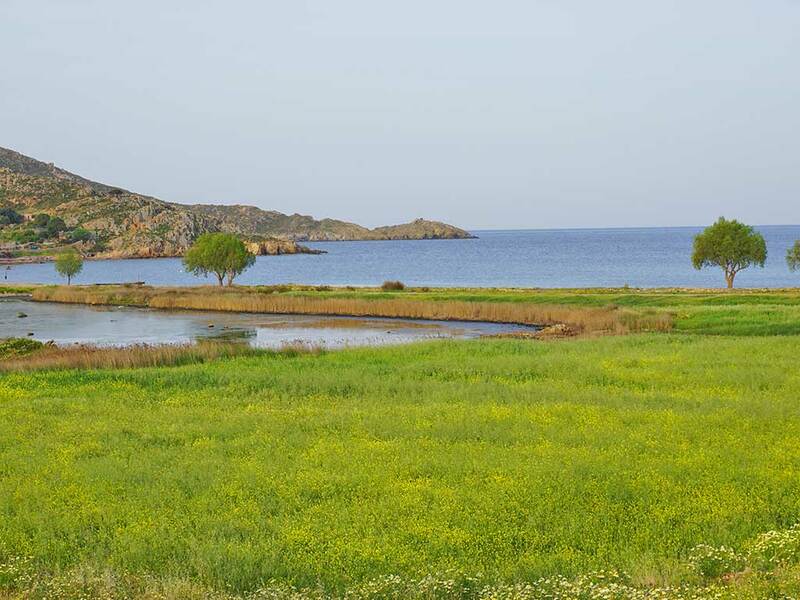 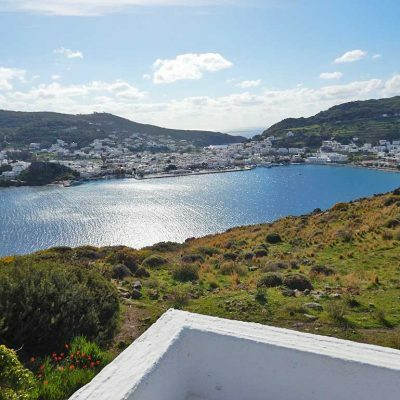 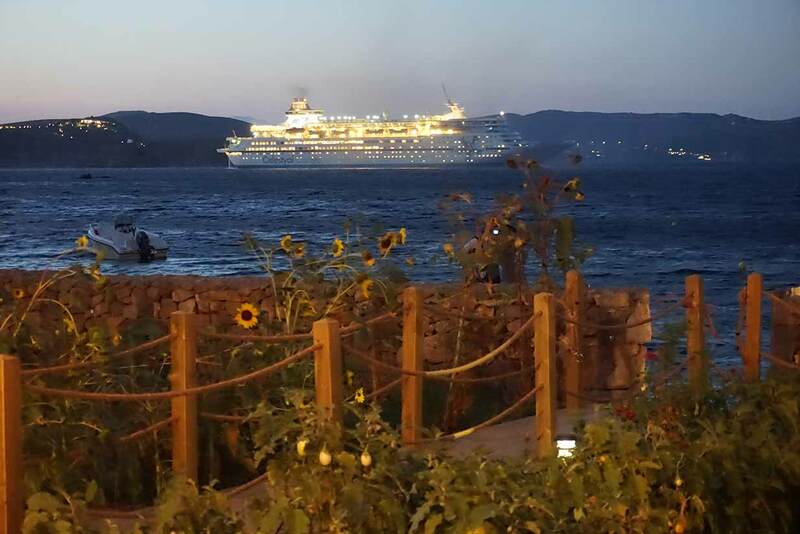 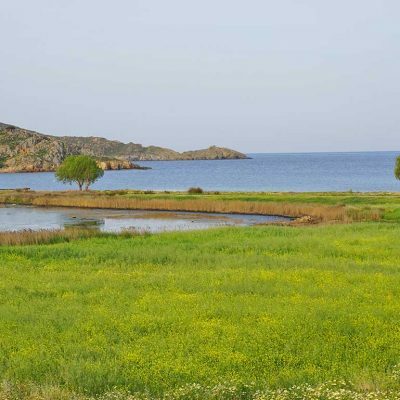 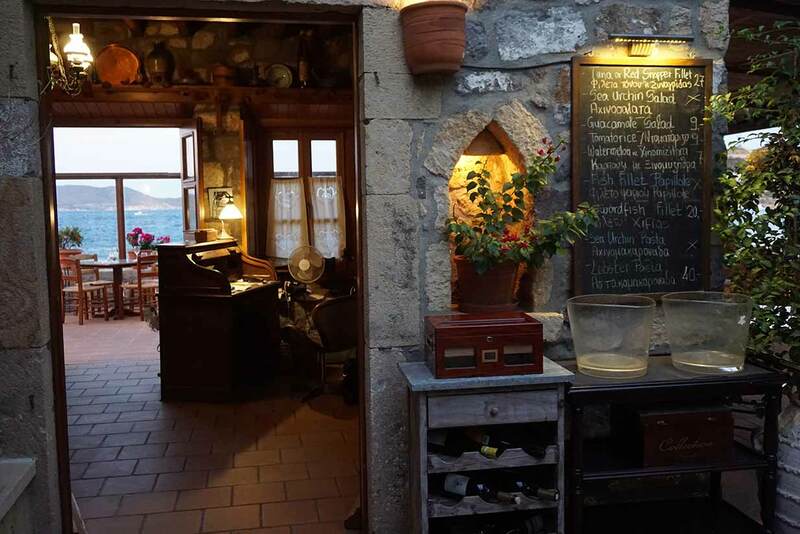 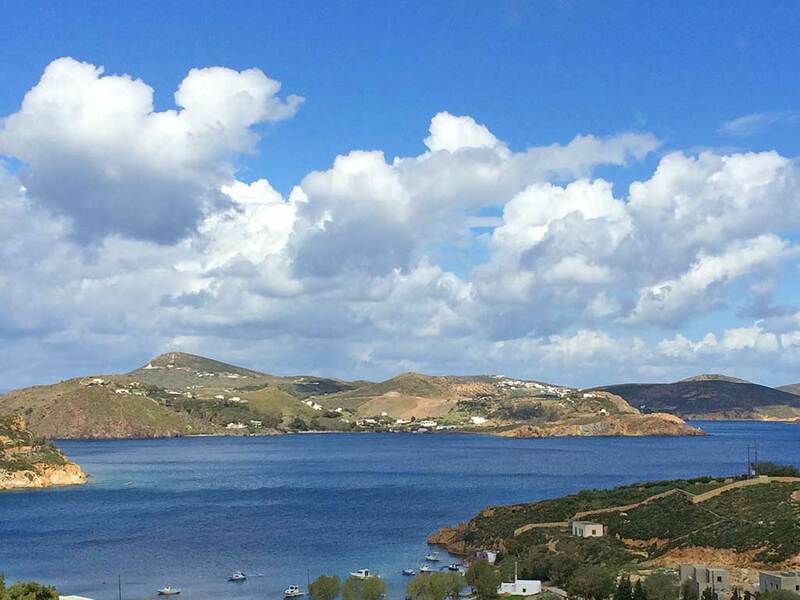 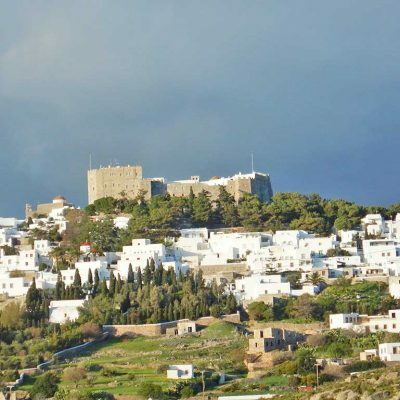 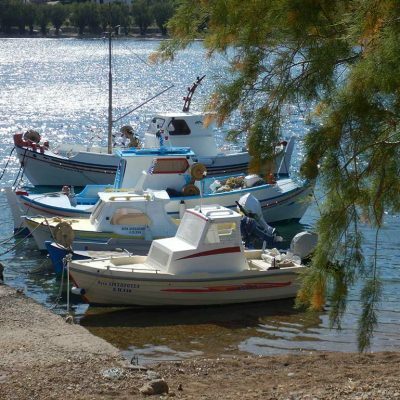 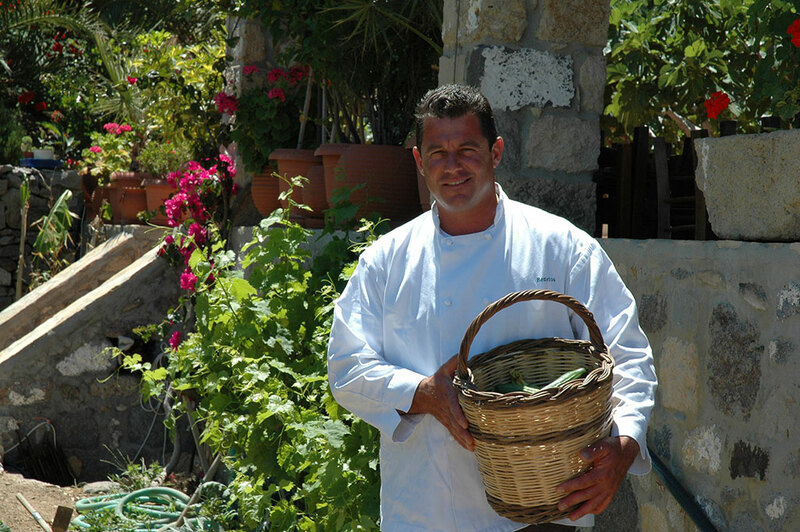 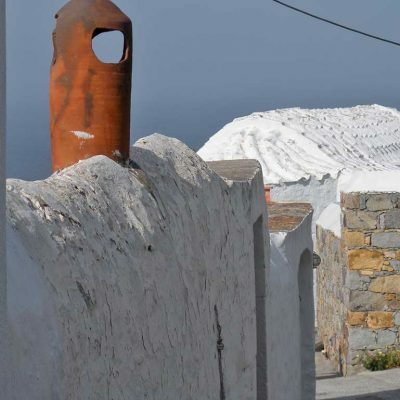 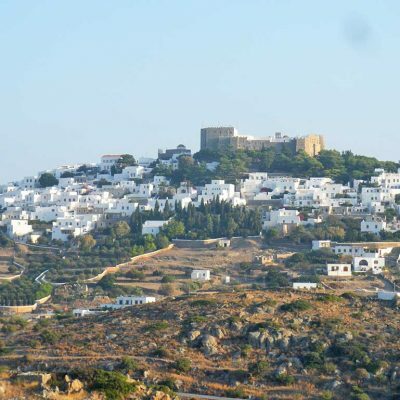 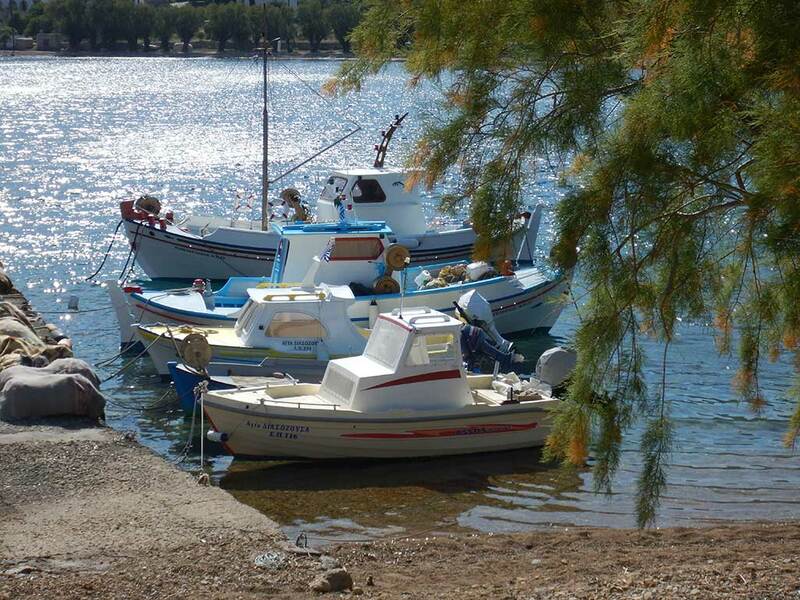 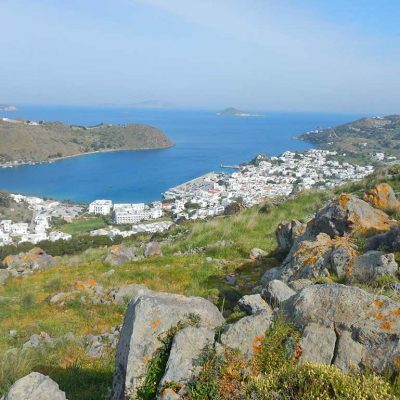 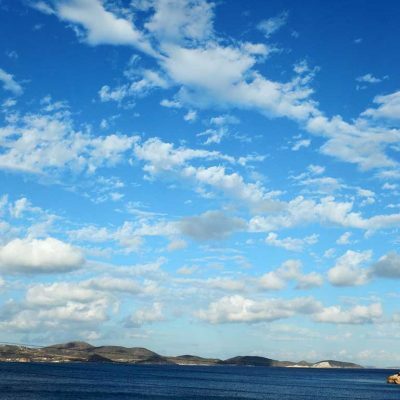 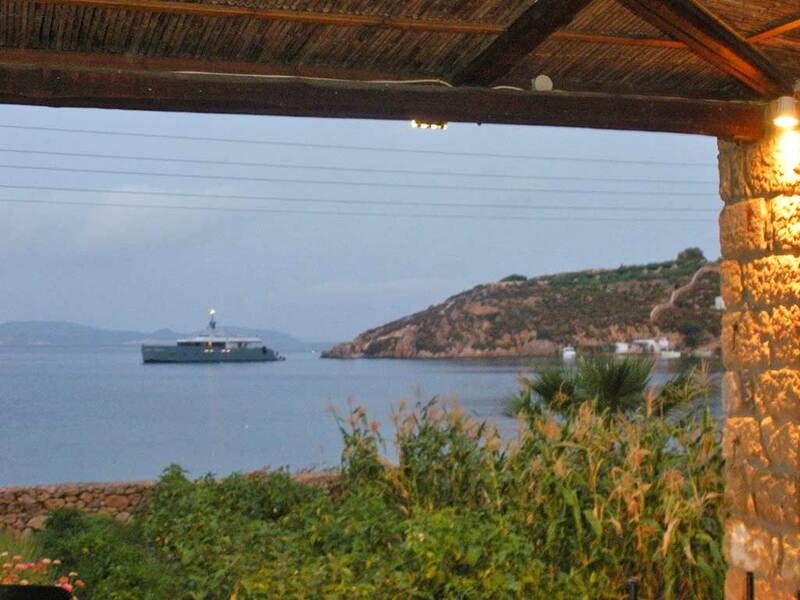 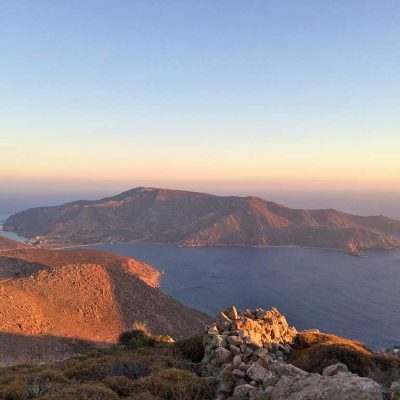 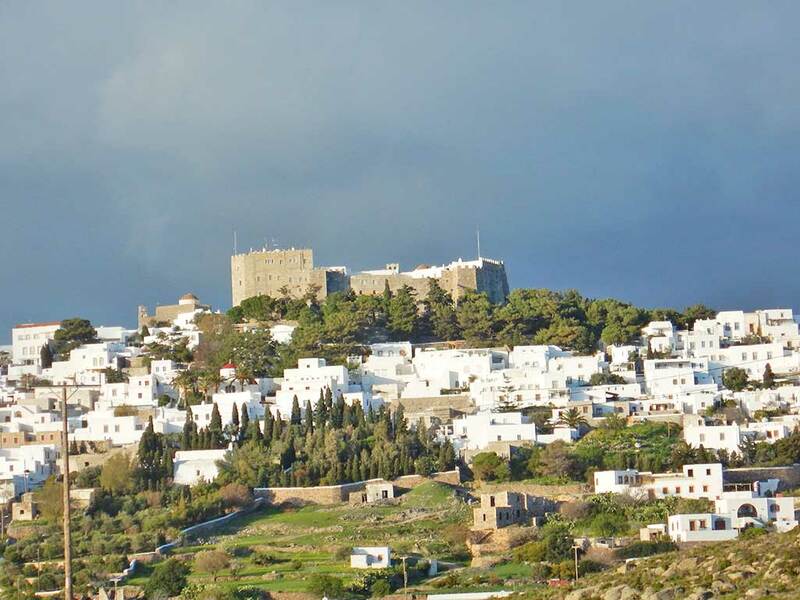 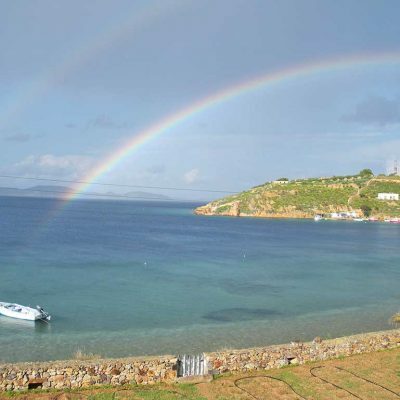 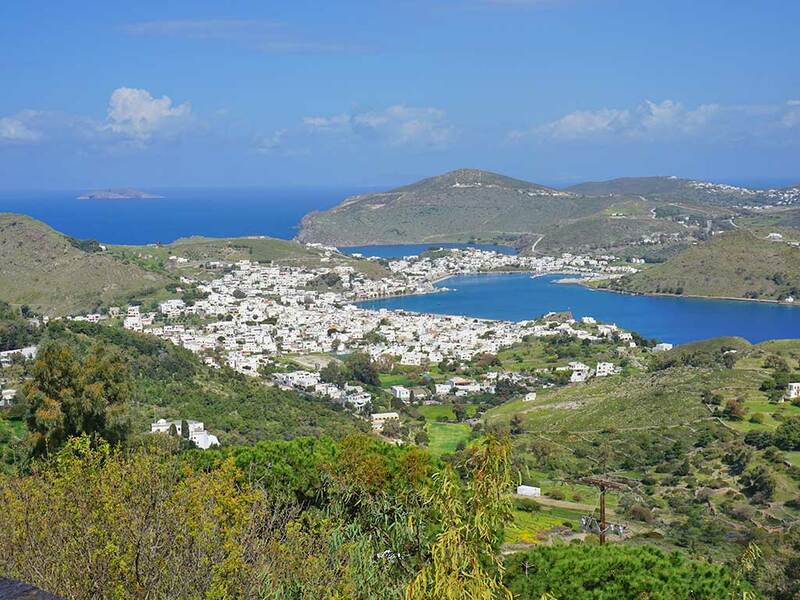 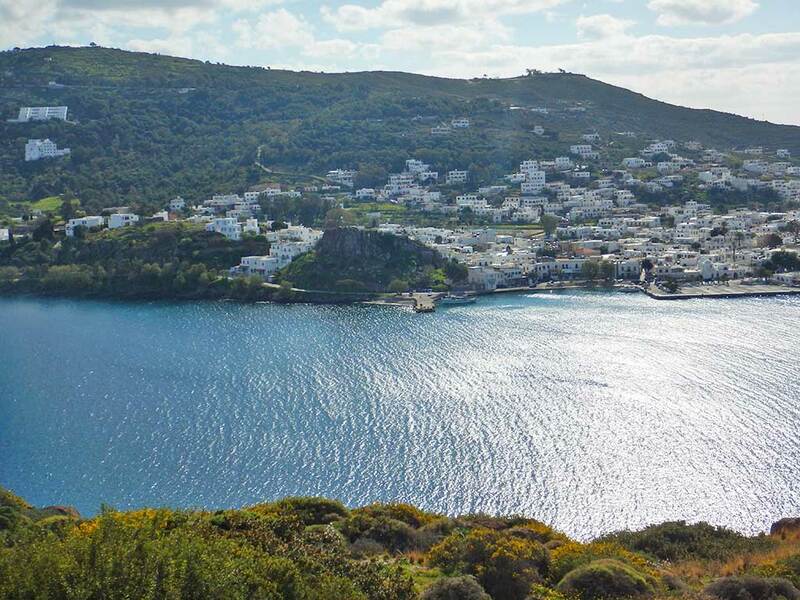 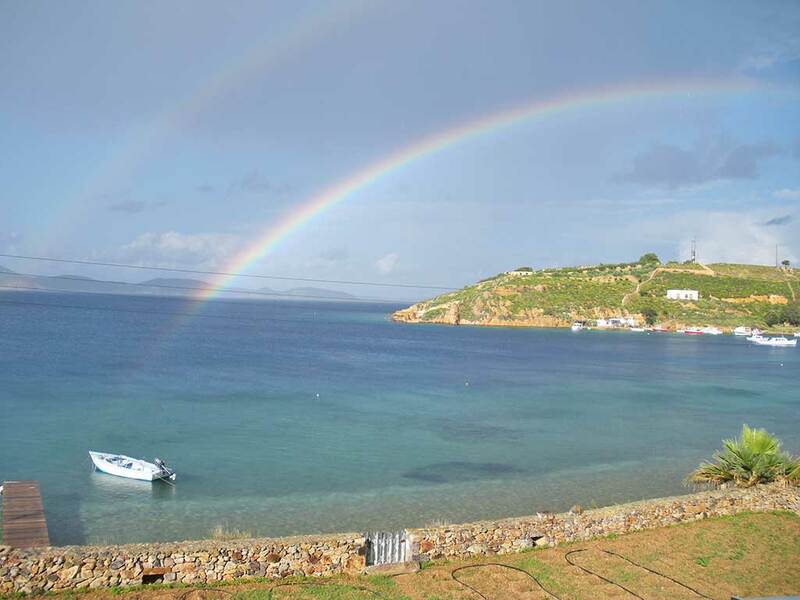 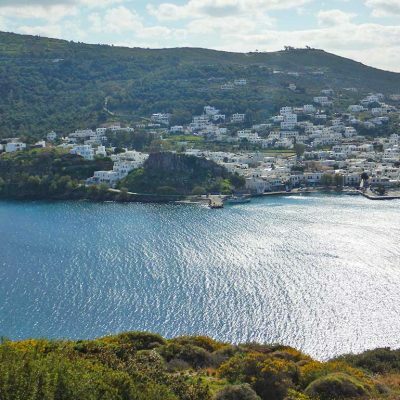 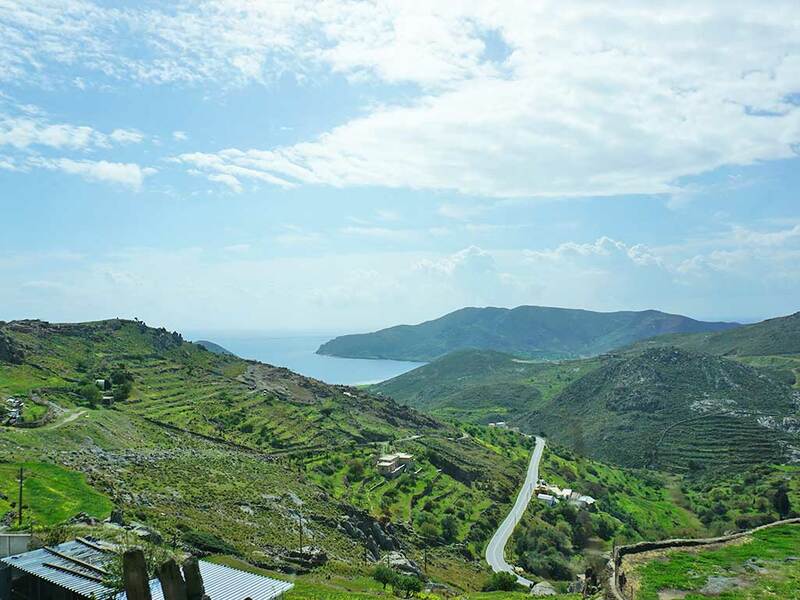 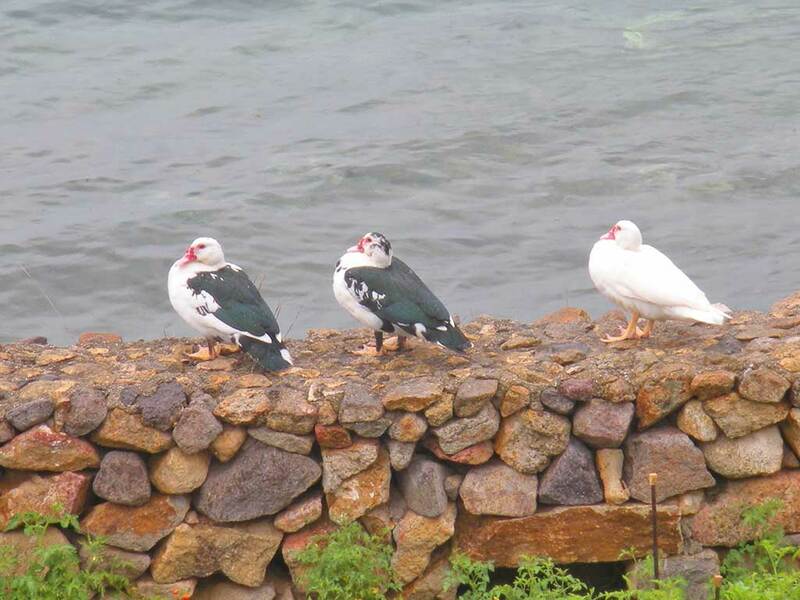 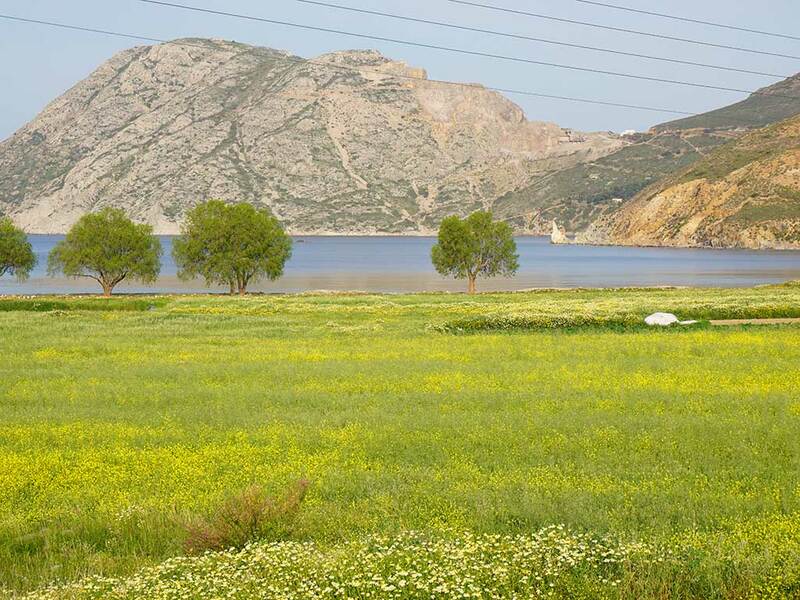 Patmos enjoys visitors the world over who make the tranquil isle their annual vacation destination.